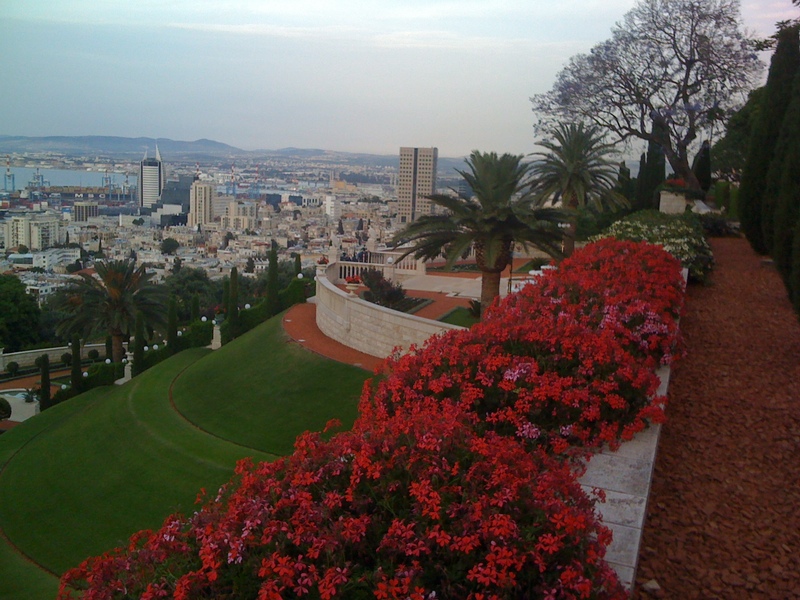 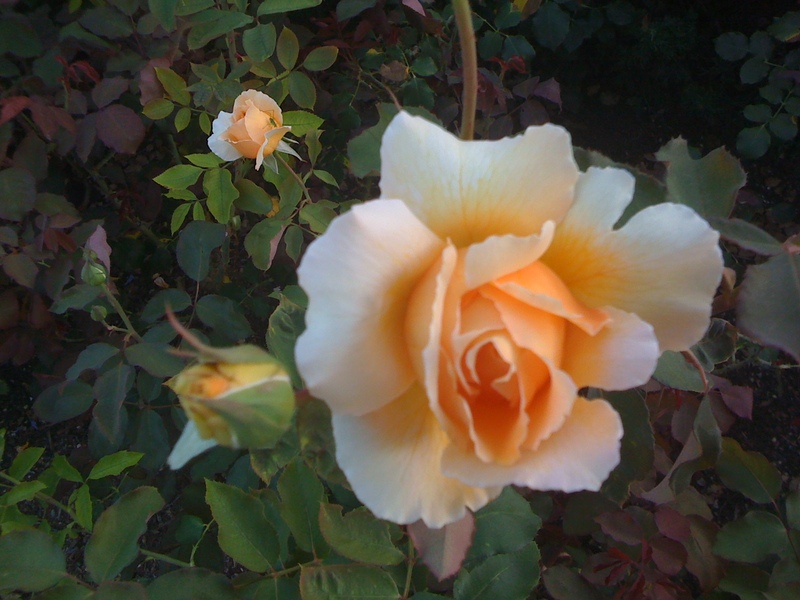 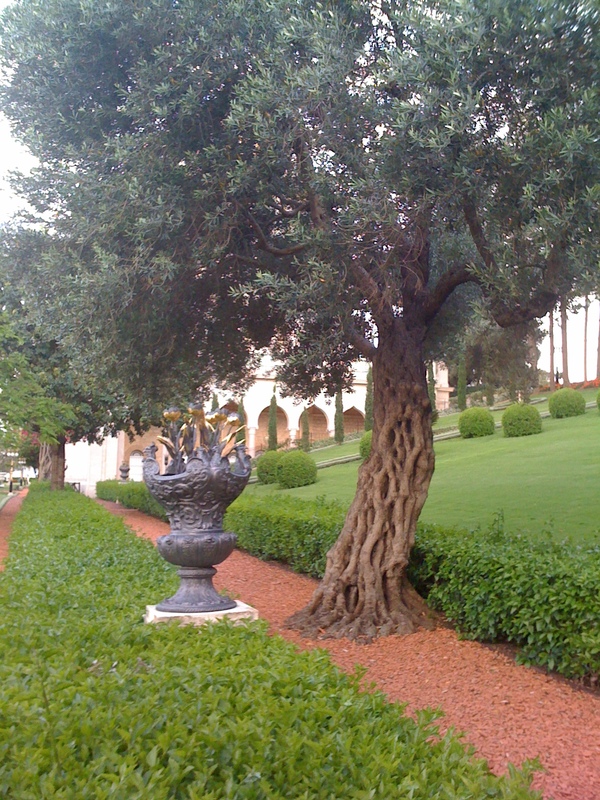 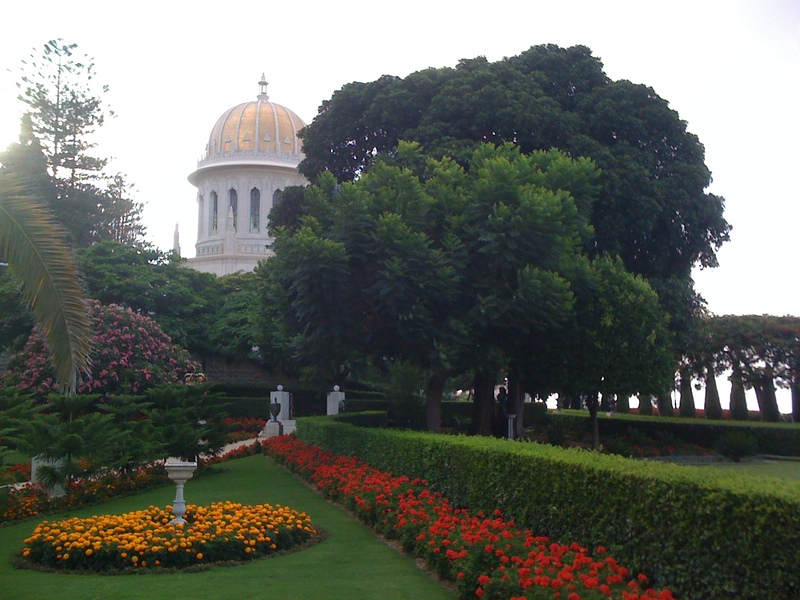 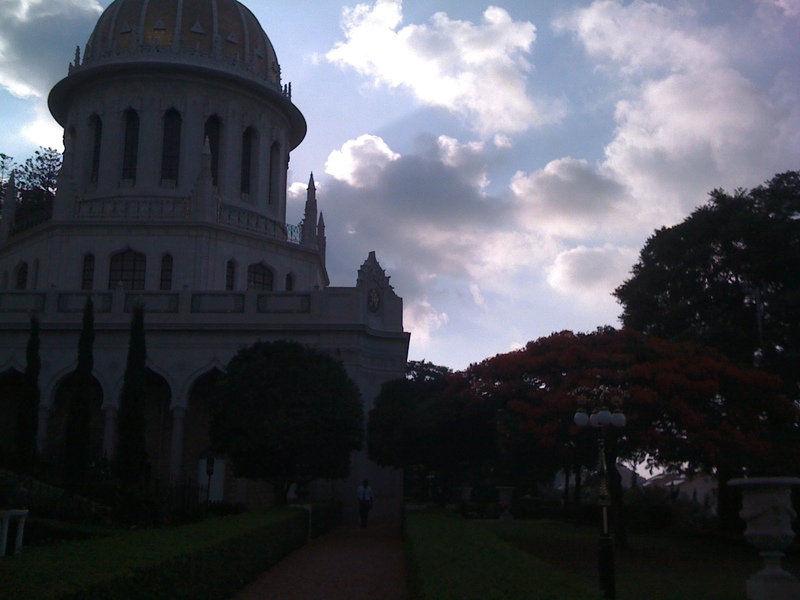 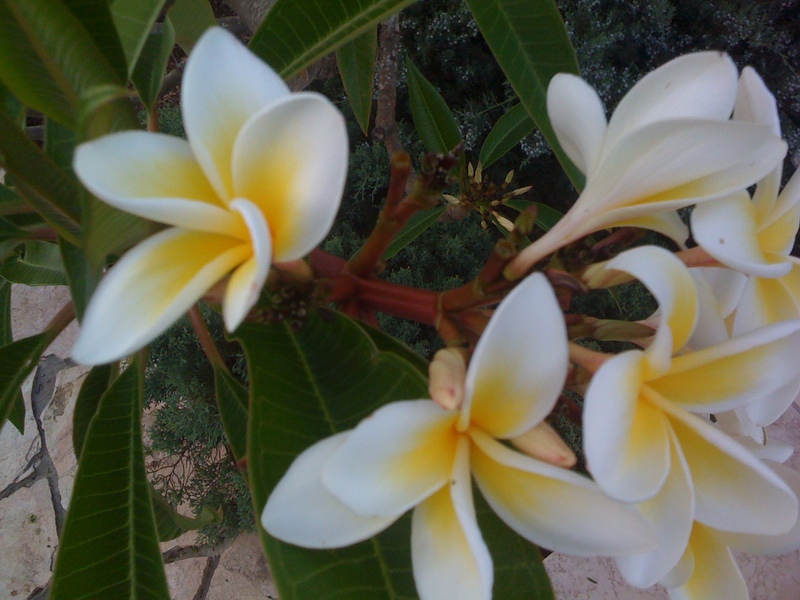 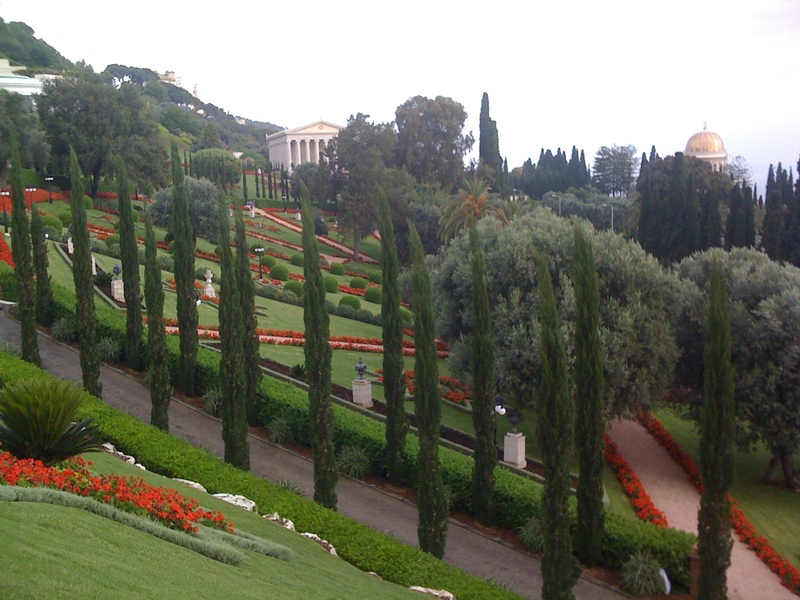 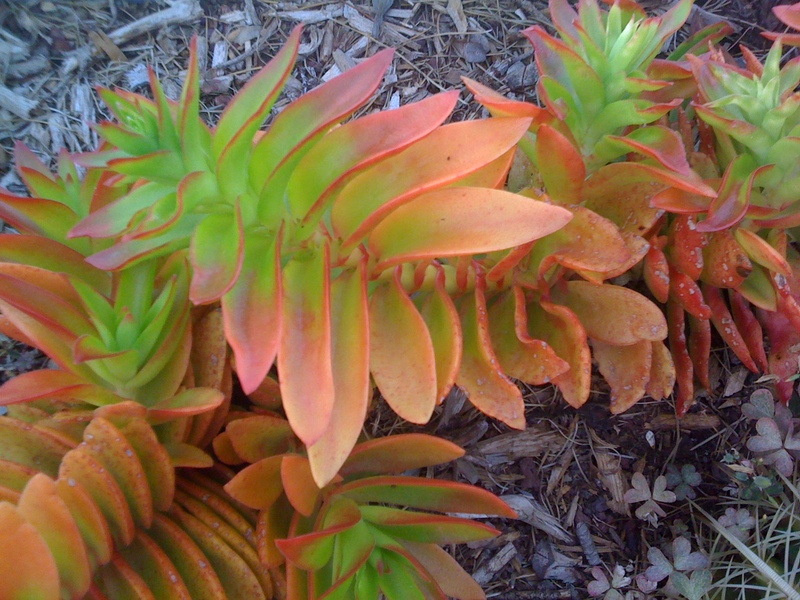 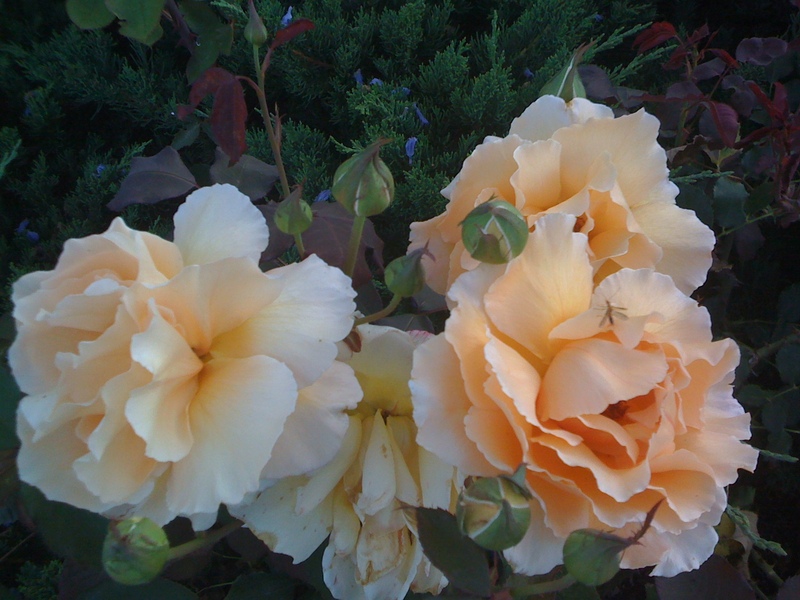 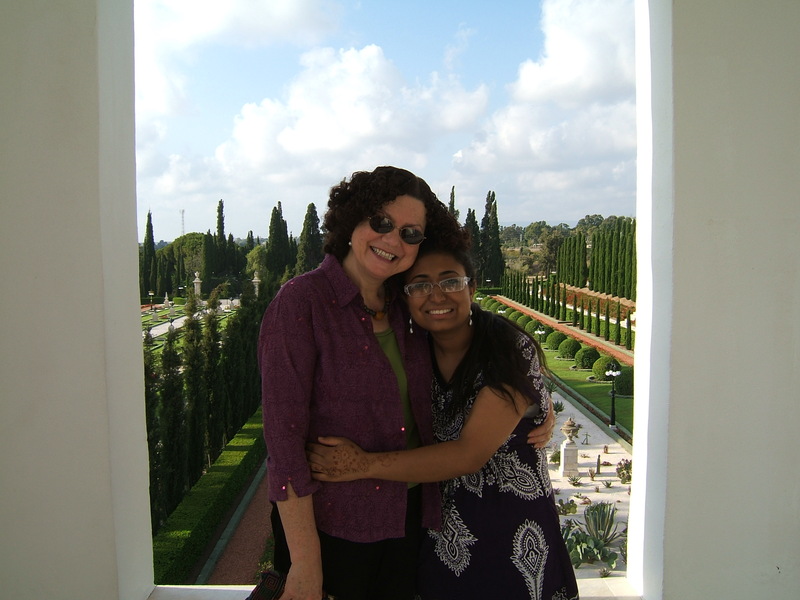 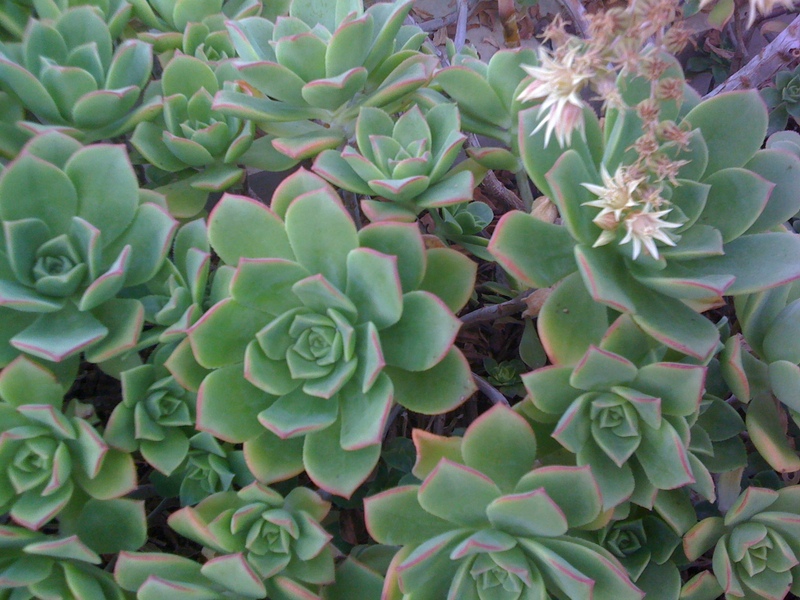 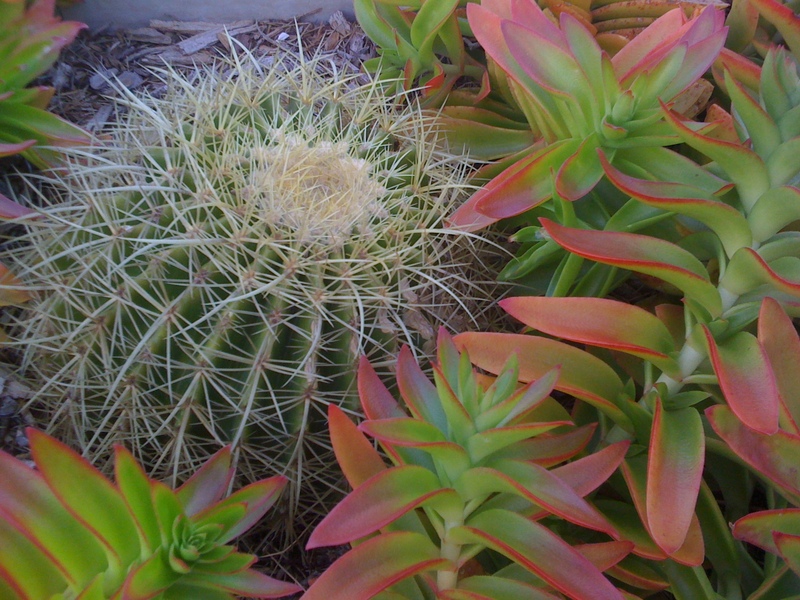 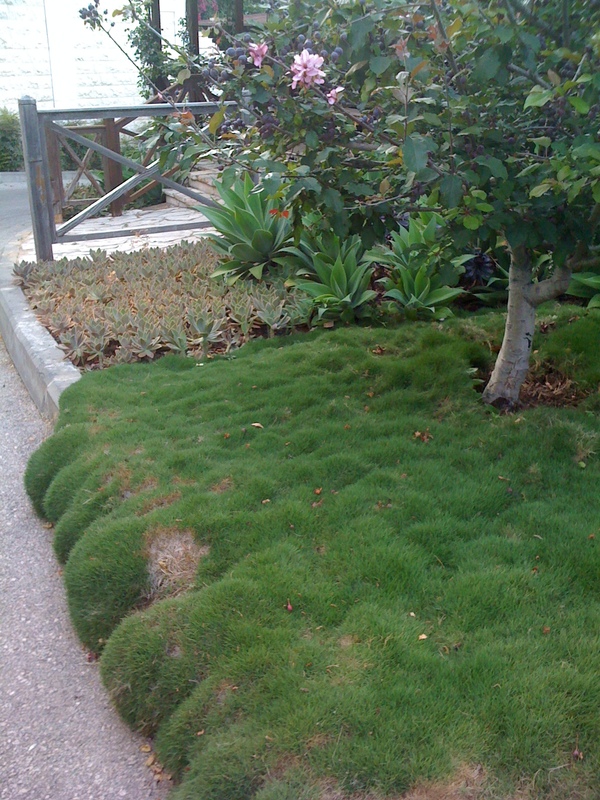 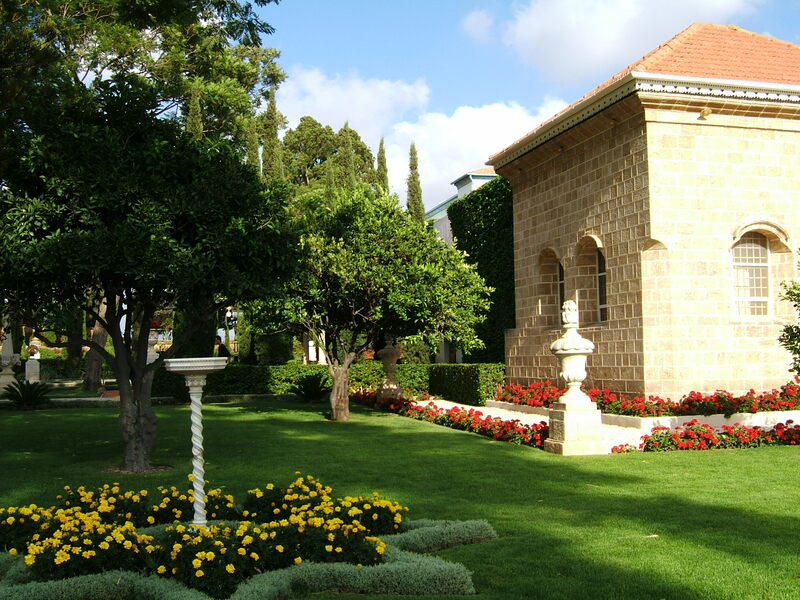 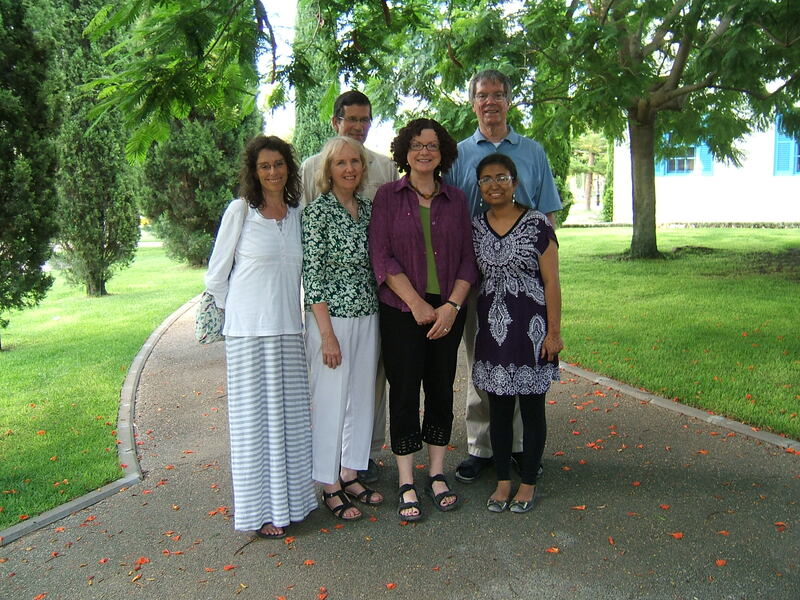 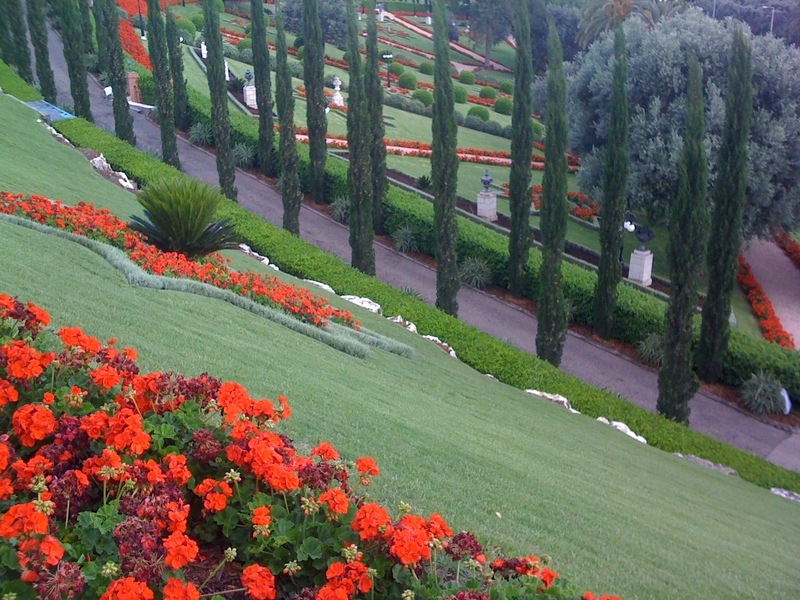 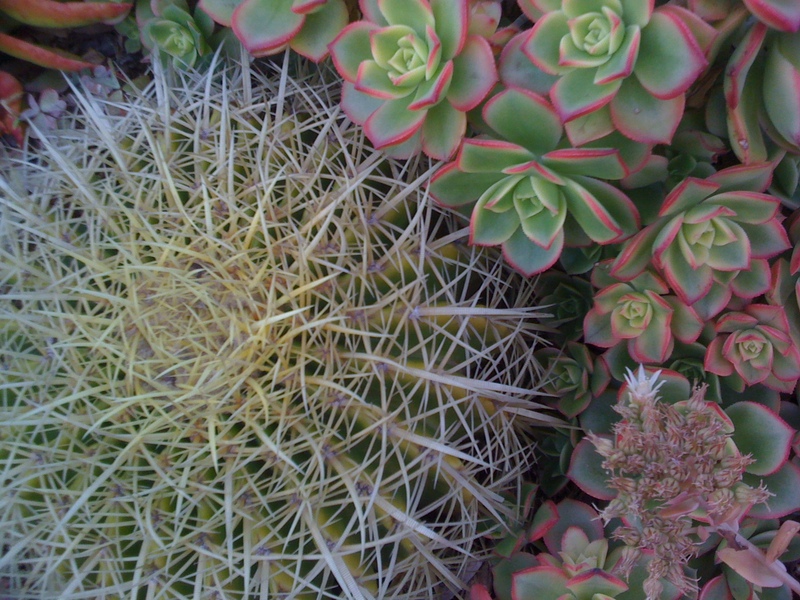 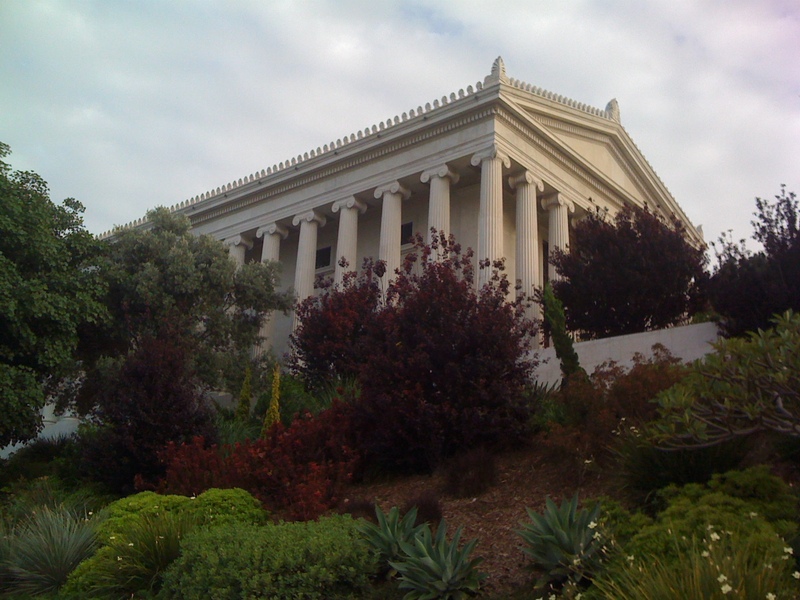 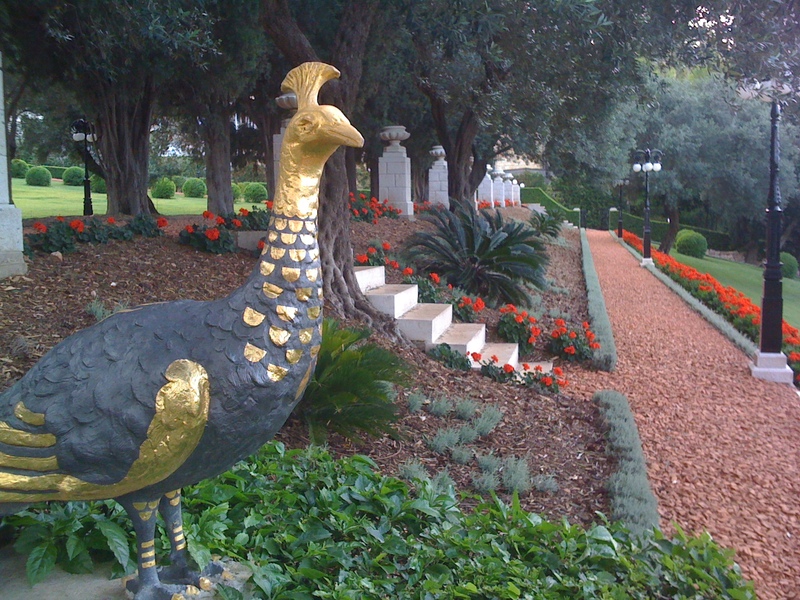 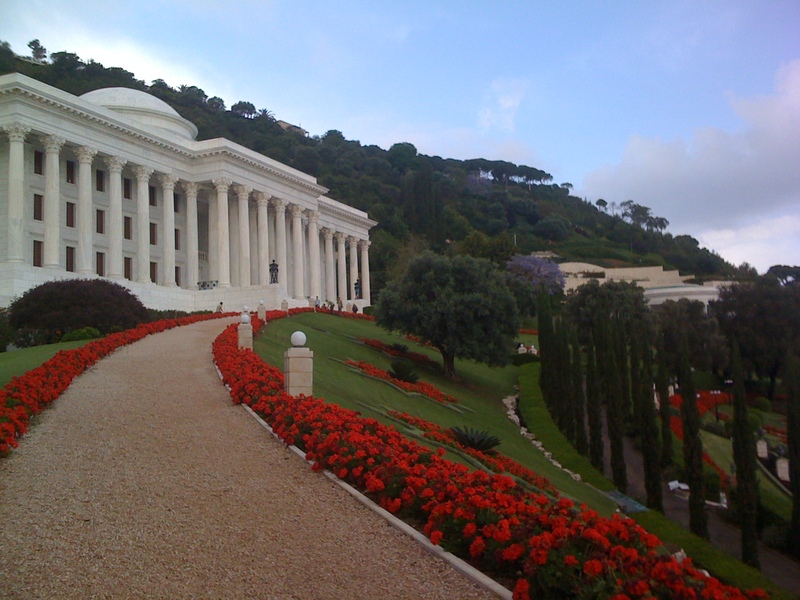 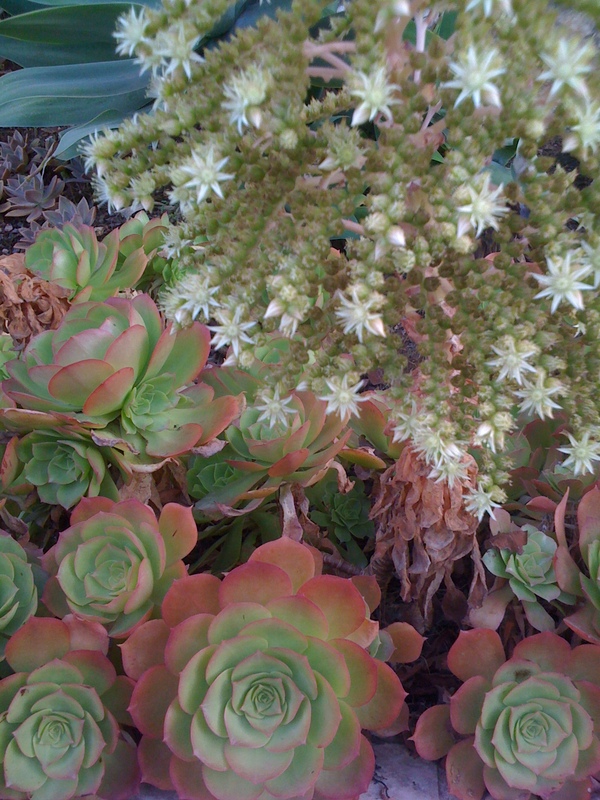 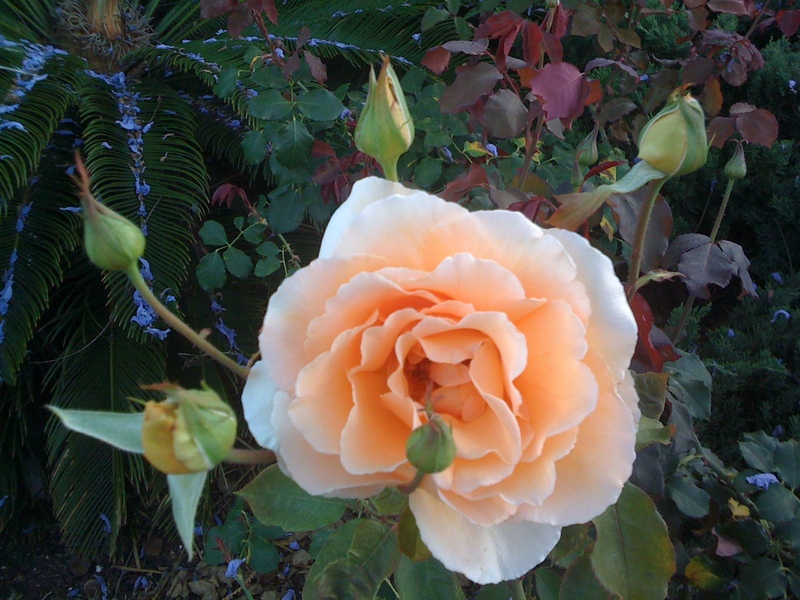 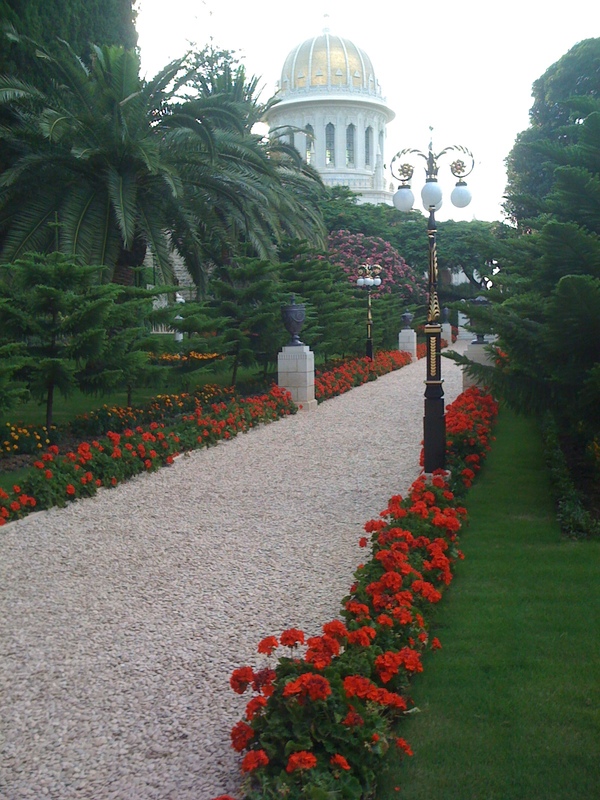 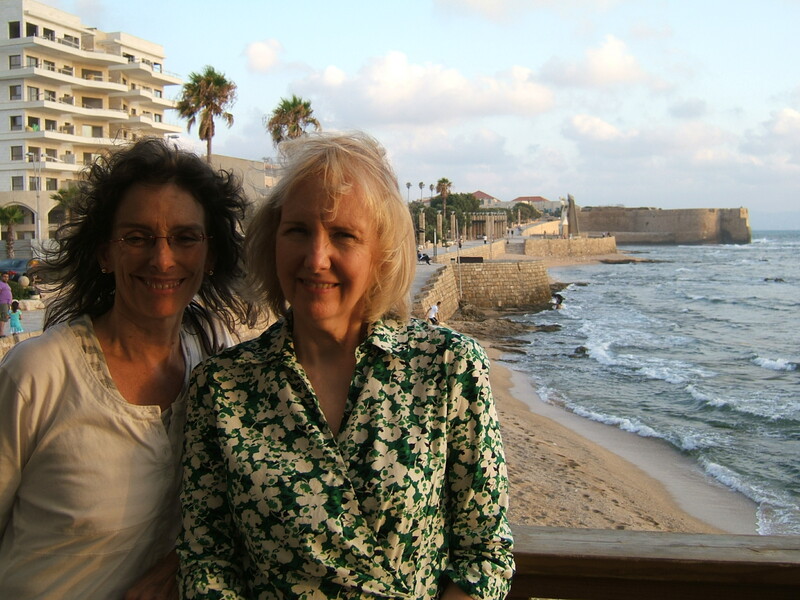 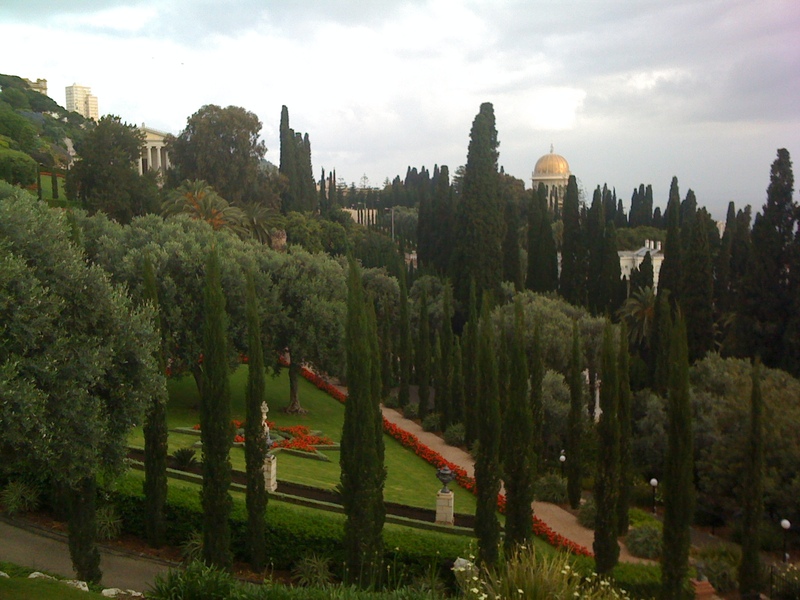 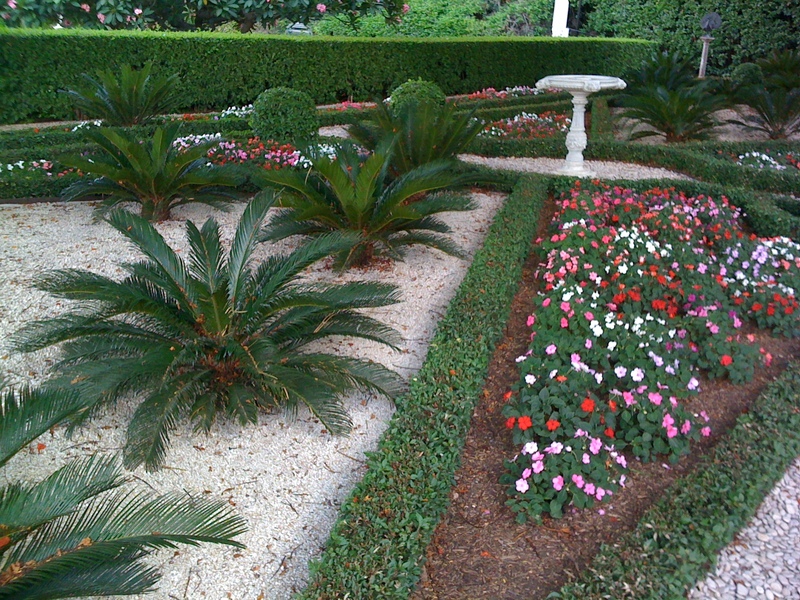 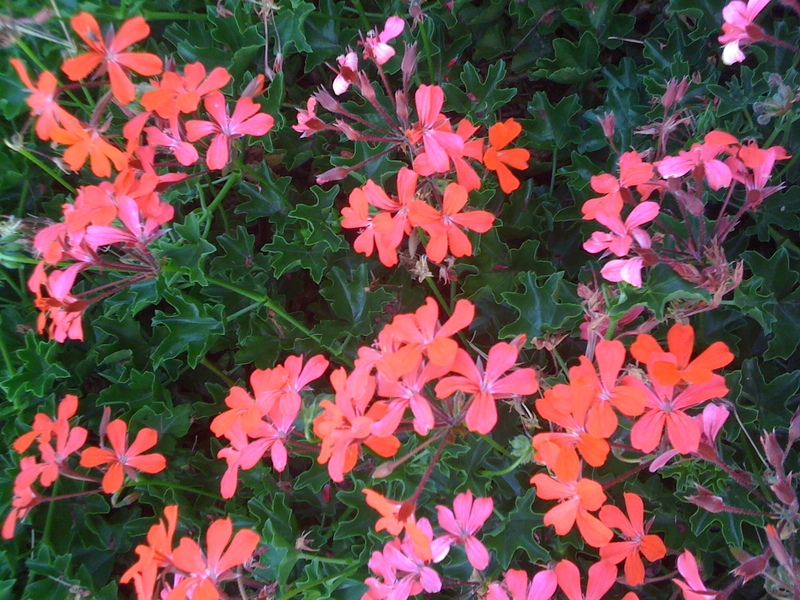 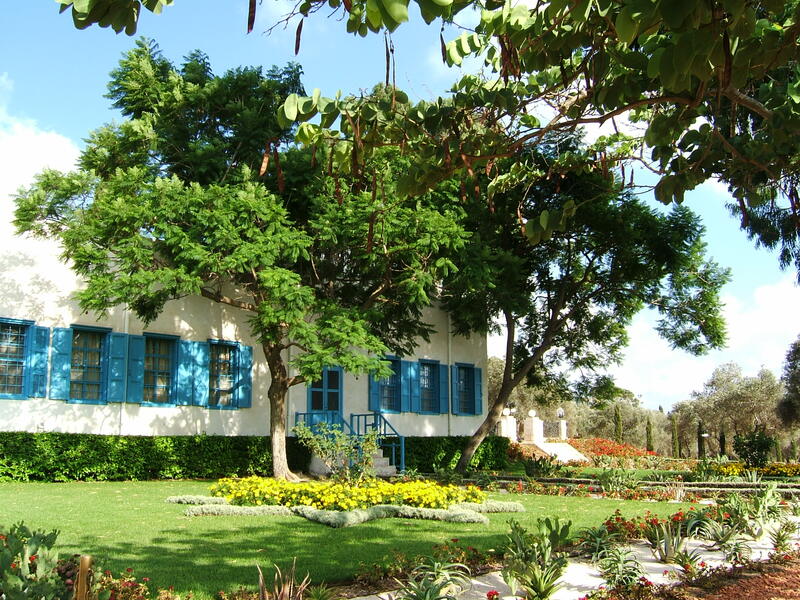 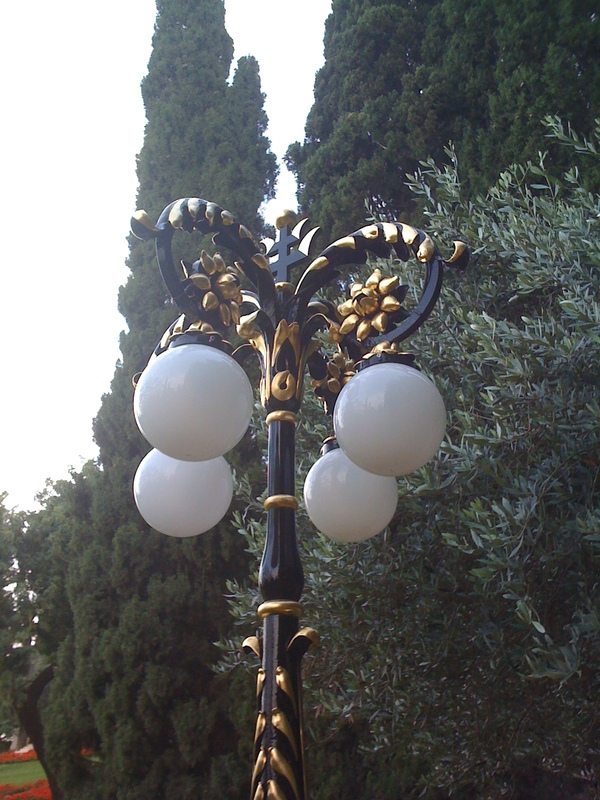 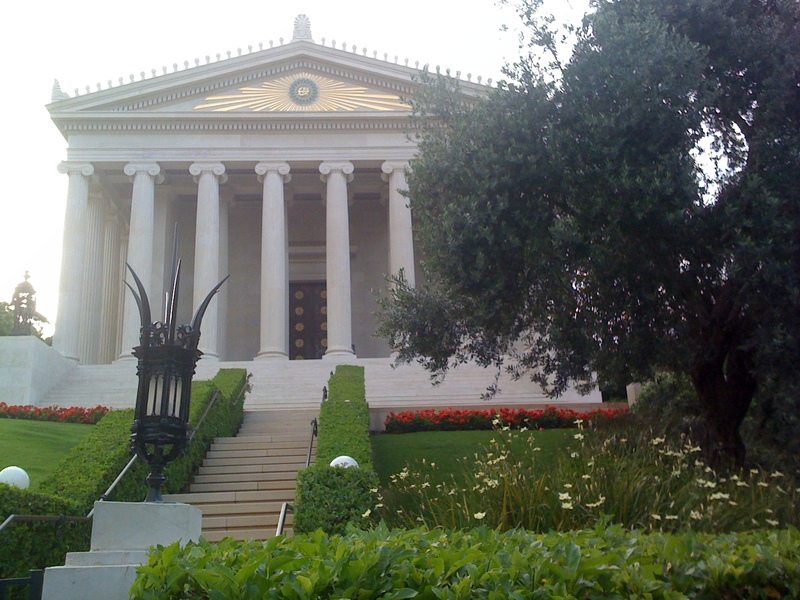 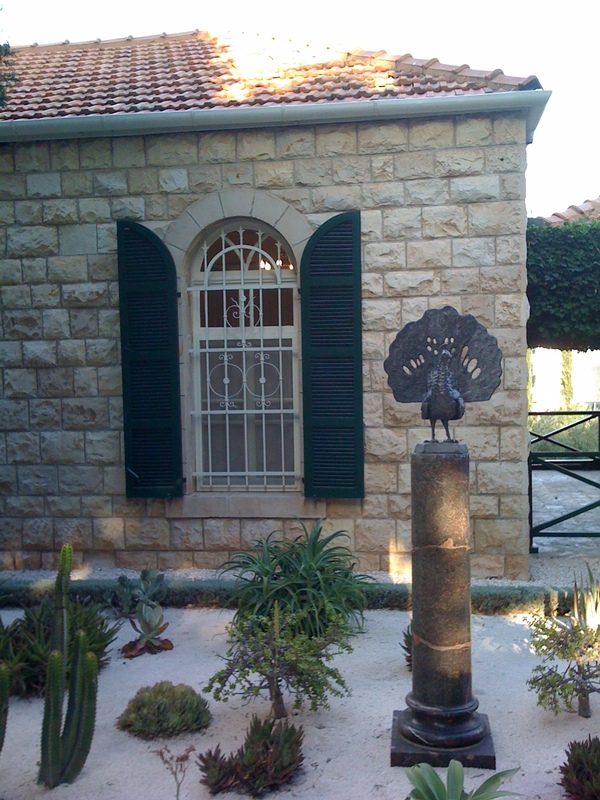 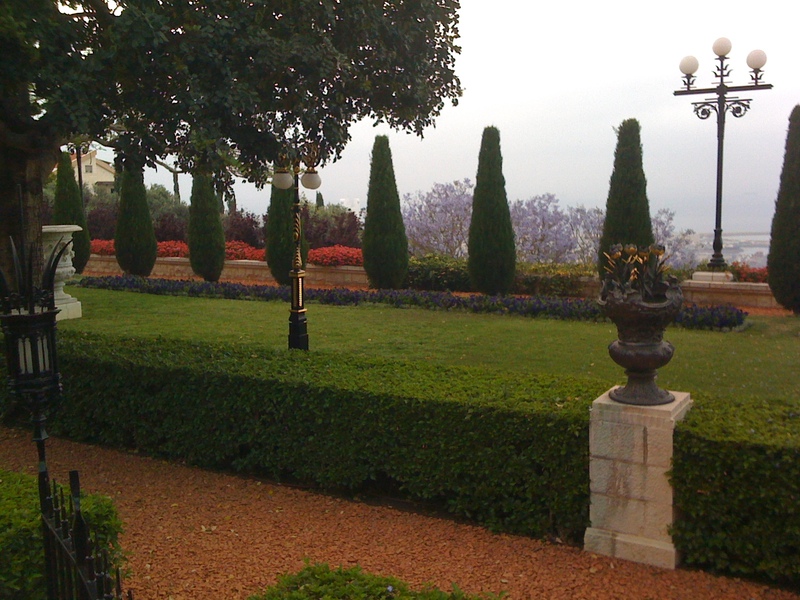 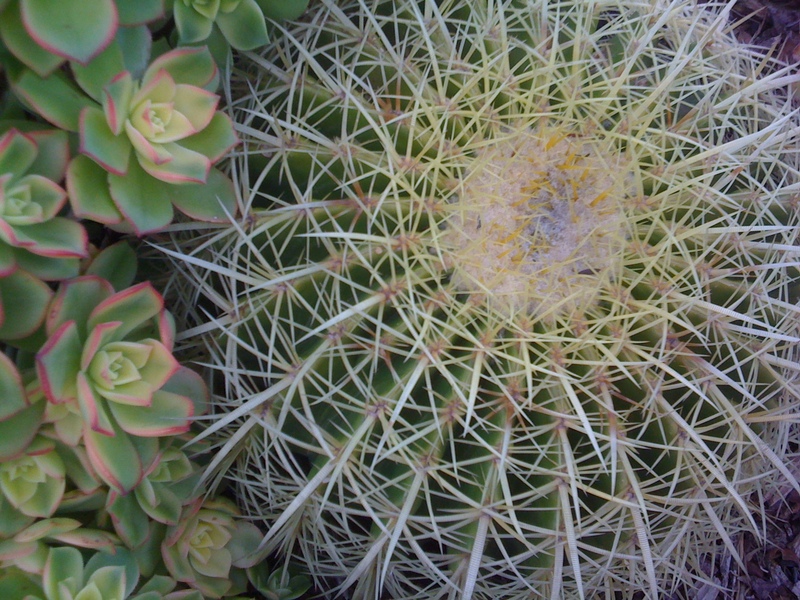 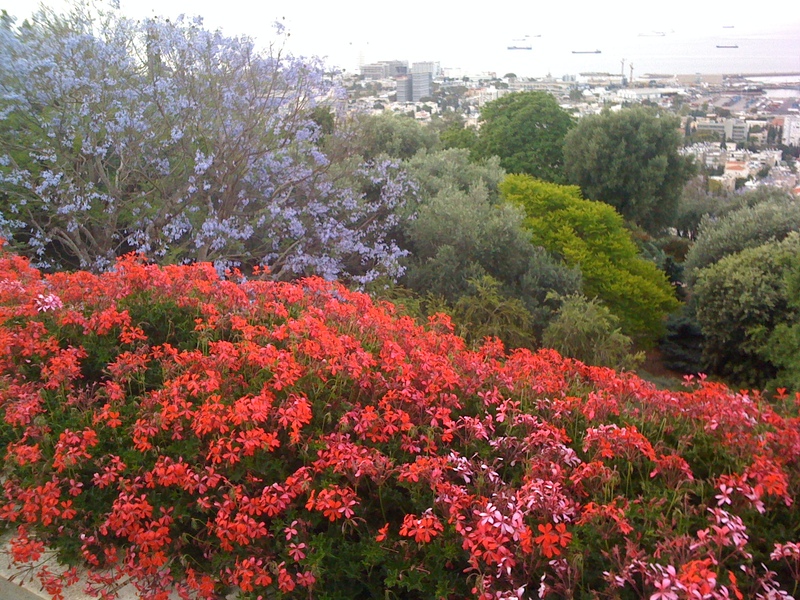 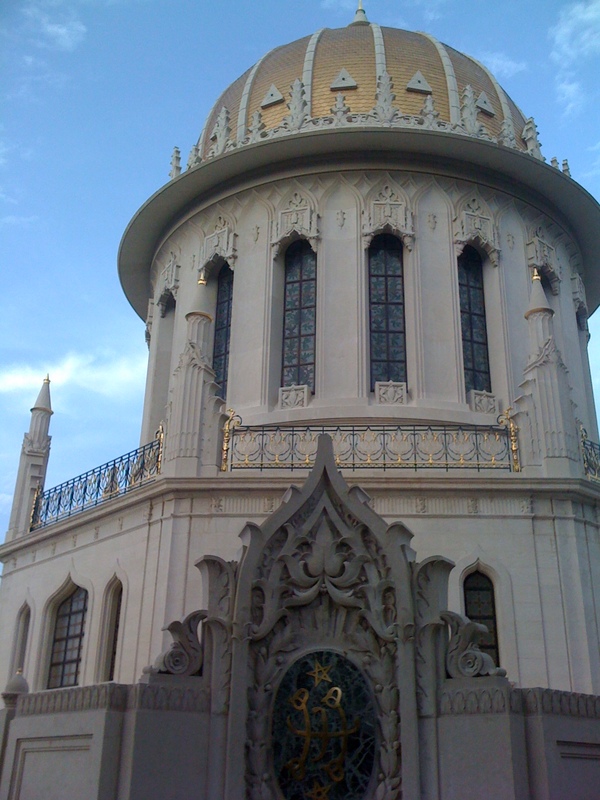 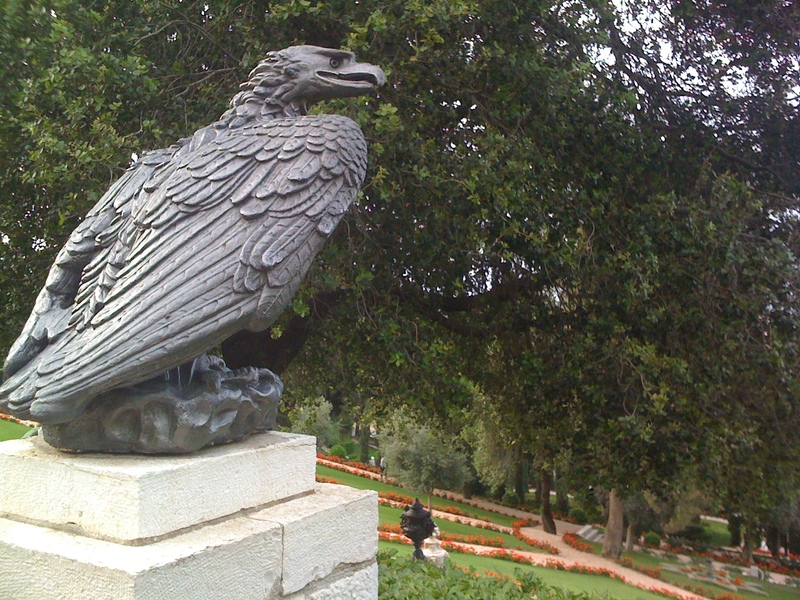 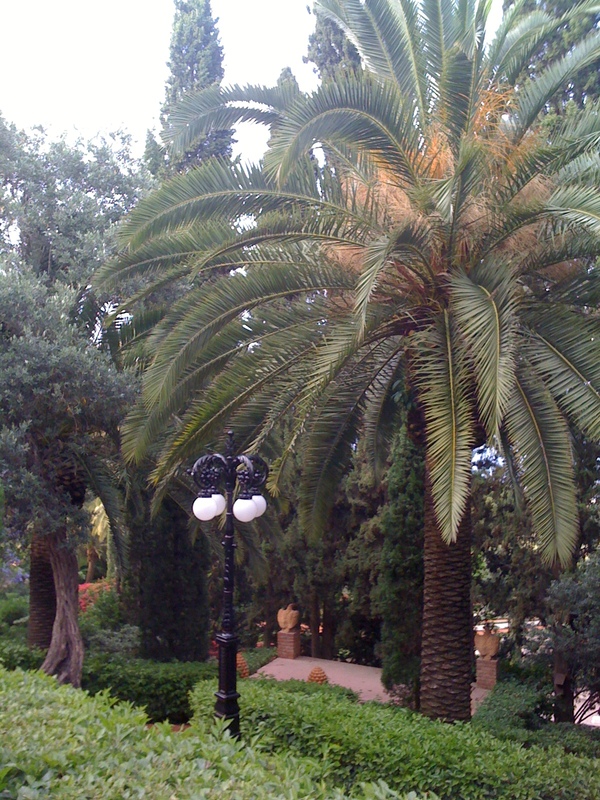 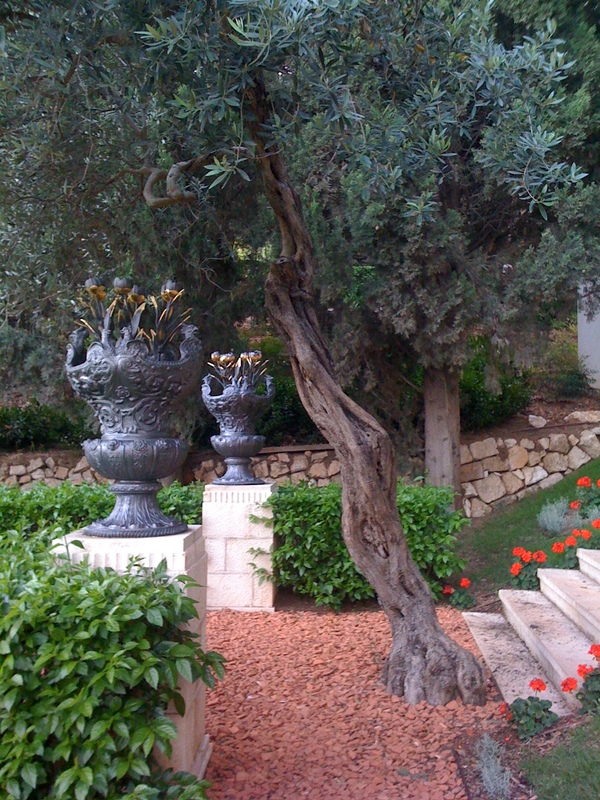 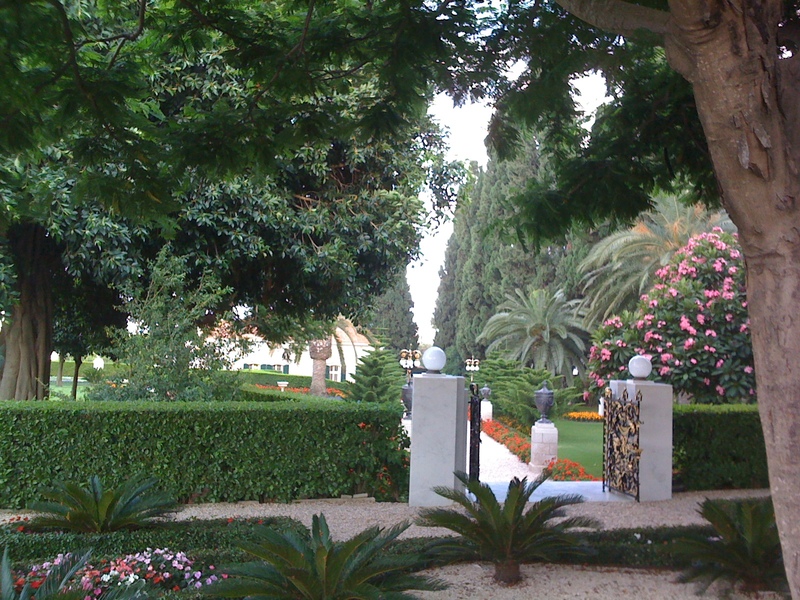 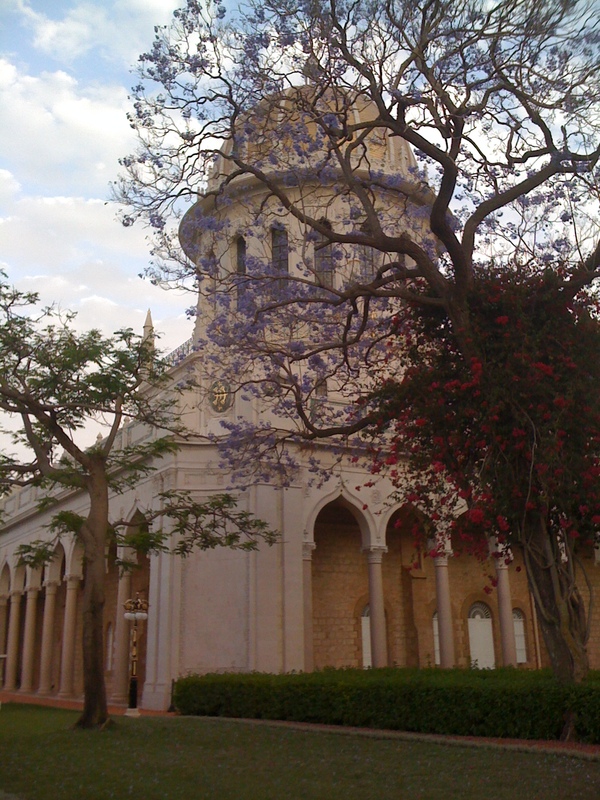 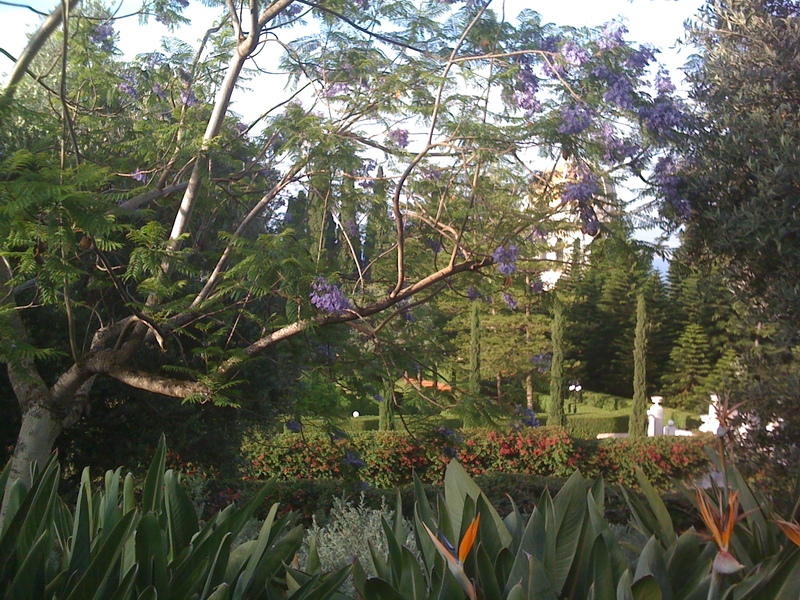 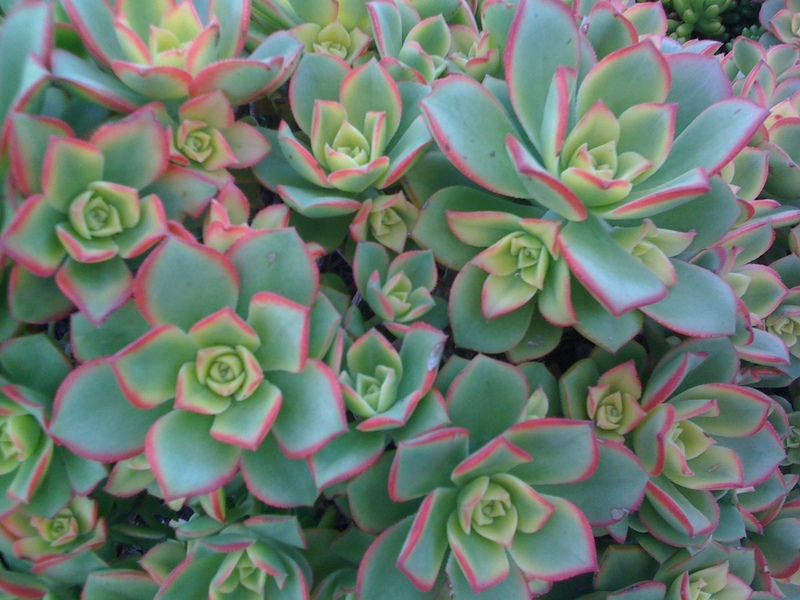 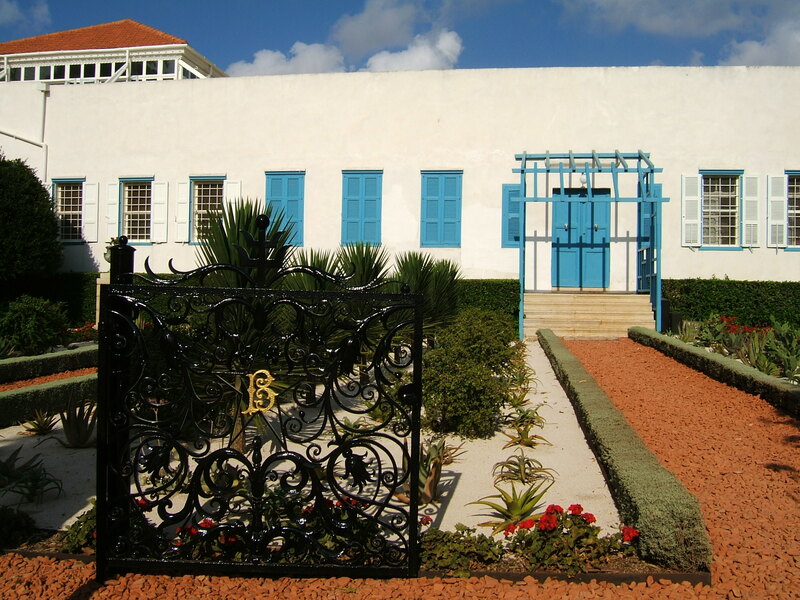 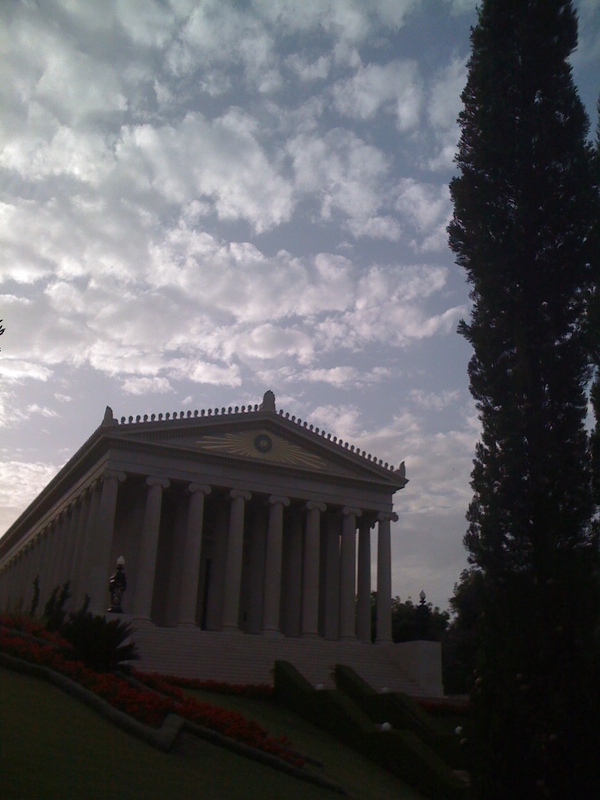 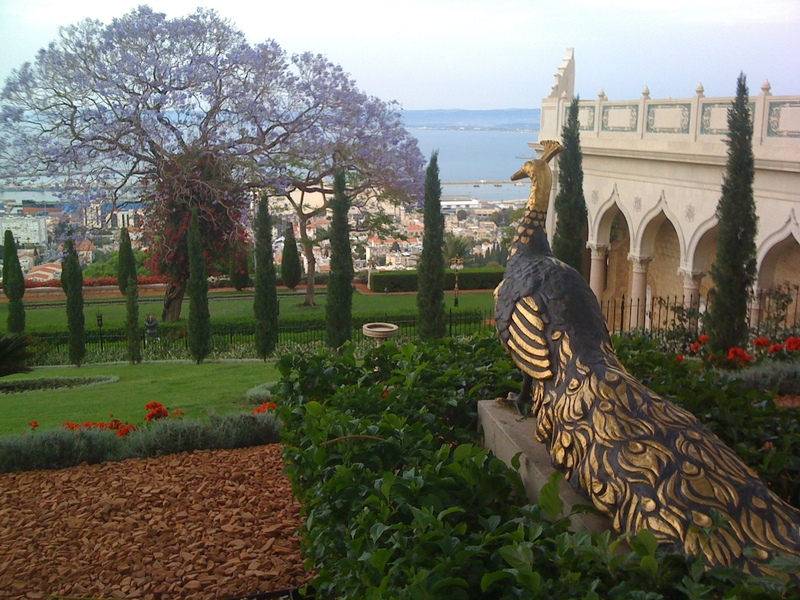 One of my last walks in the Baha’i Gardens in Haifa. 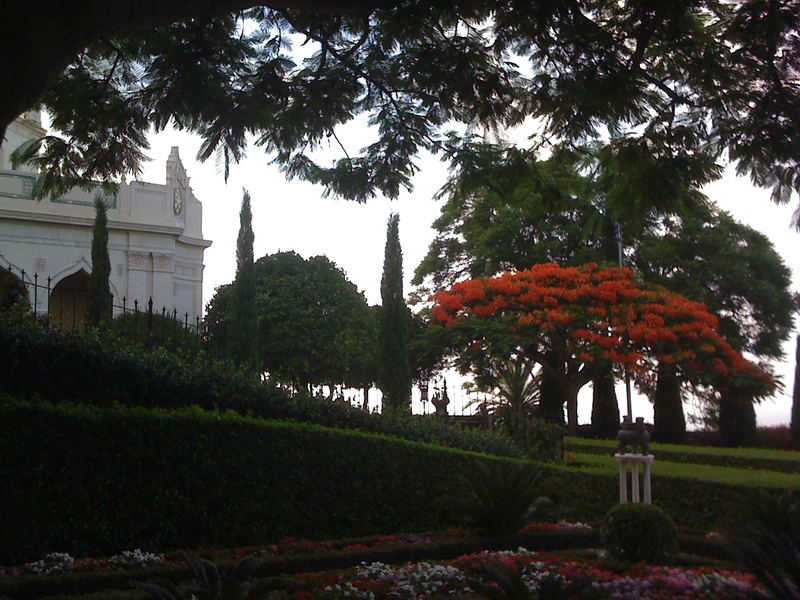 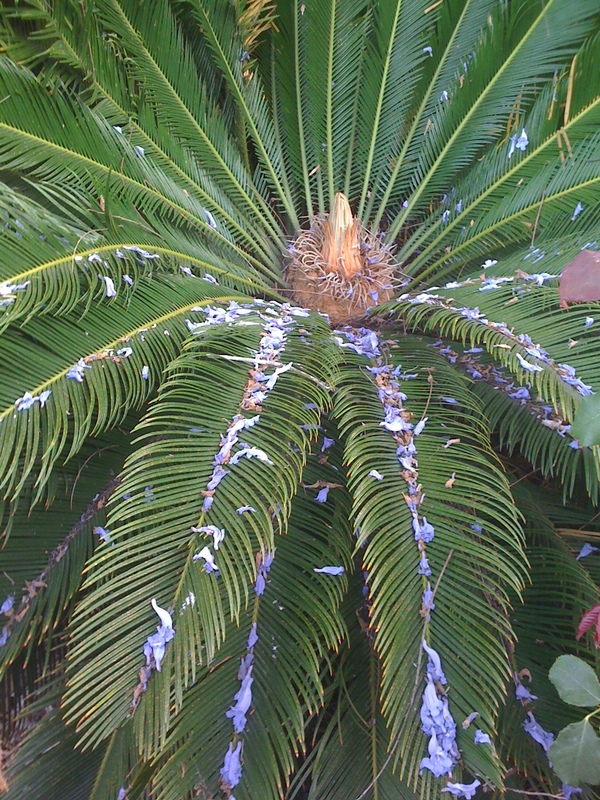 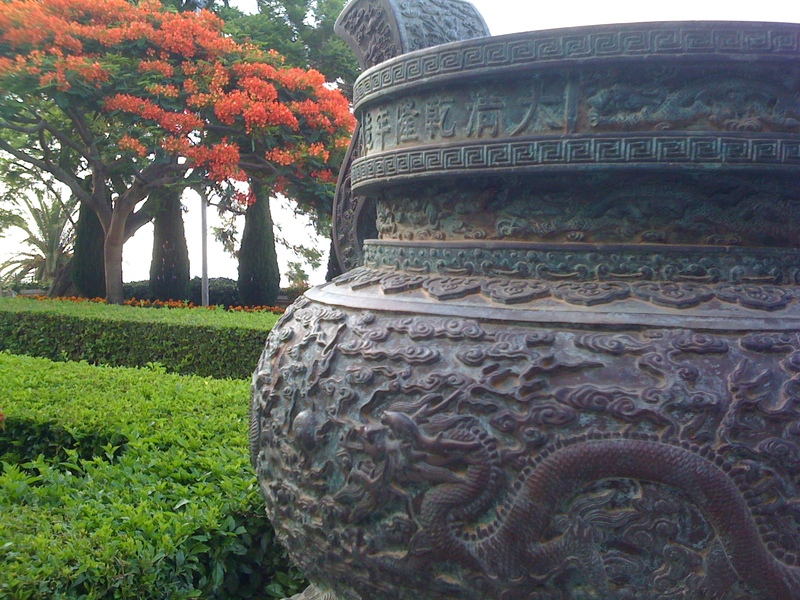 Flowering Poinciana tree in the Baha’i Gardens. 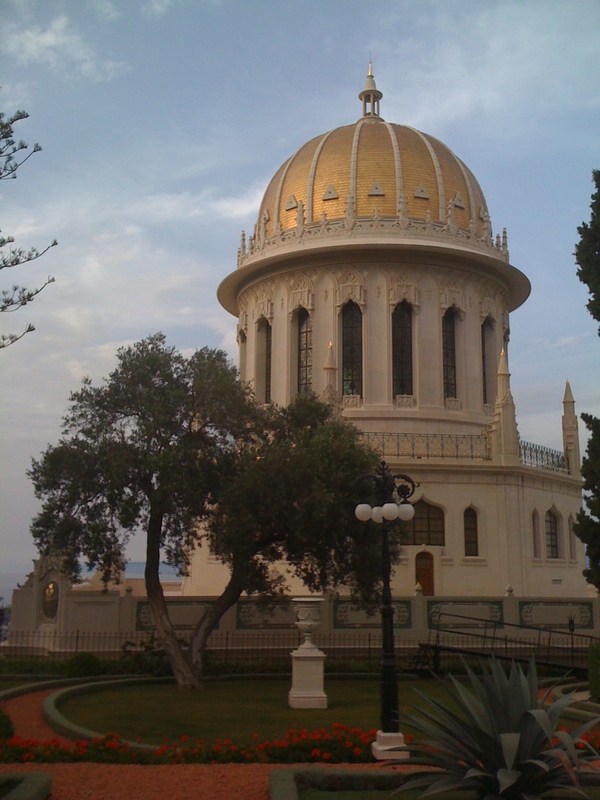 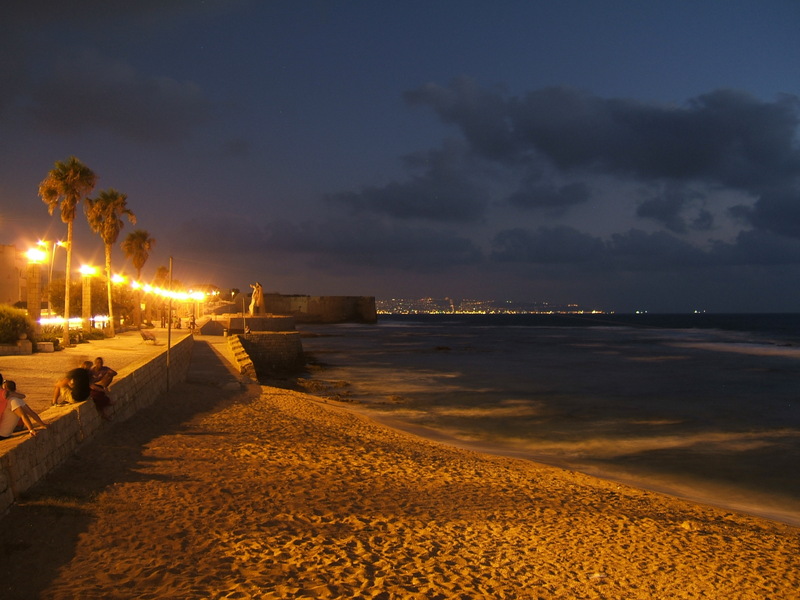 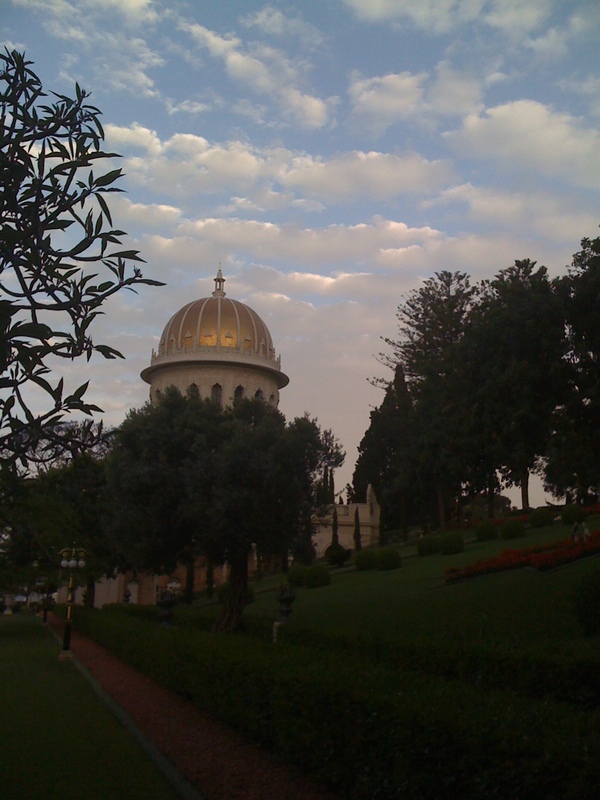 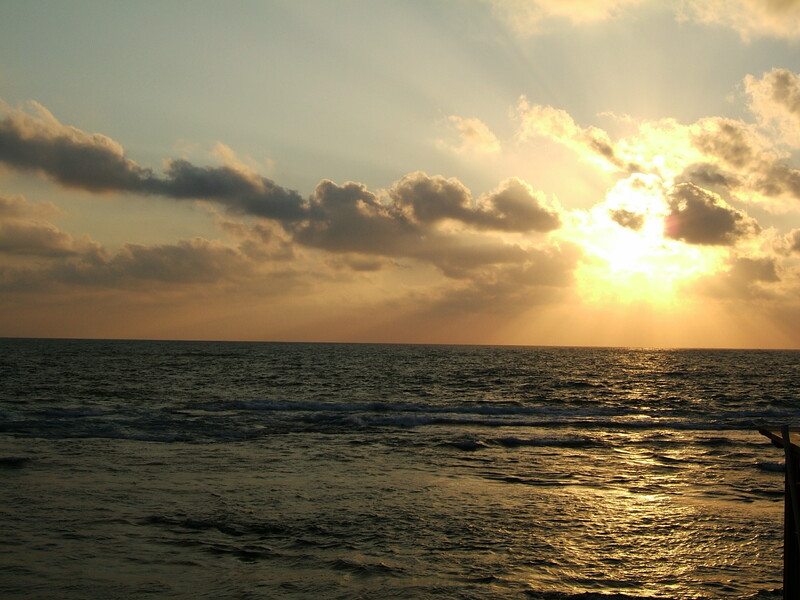 Sunset behind the Shrine in the Baha’i Gardens – Haifa, Israel. 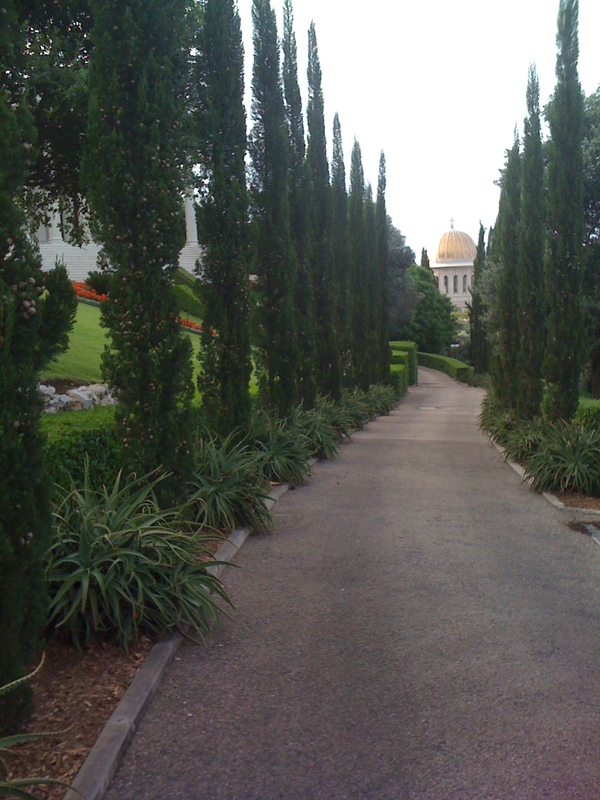 On the path at the Shrine of the Báb . . . . 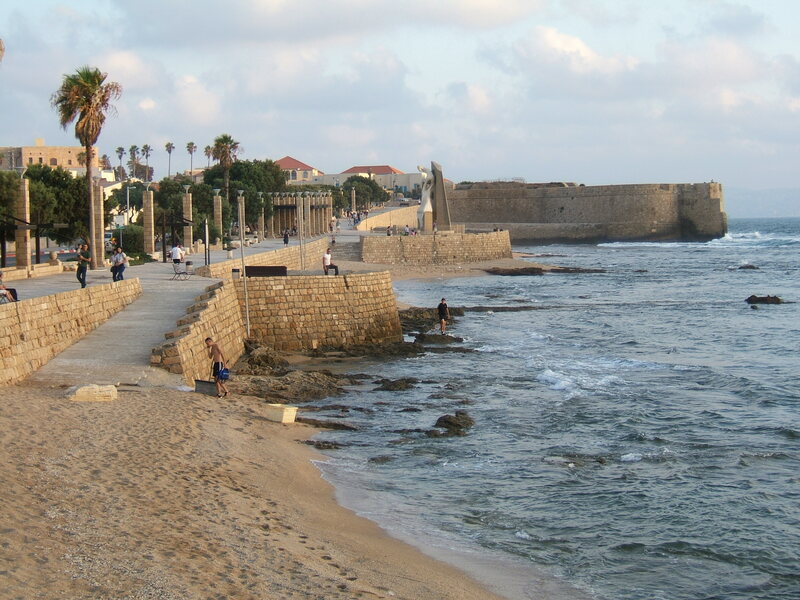 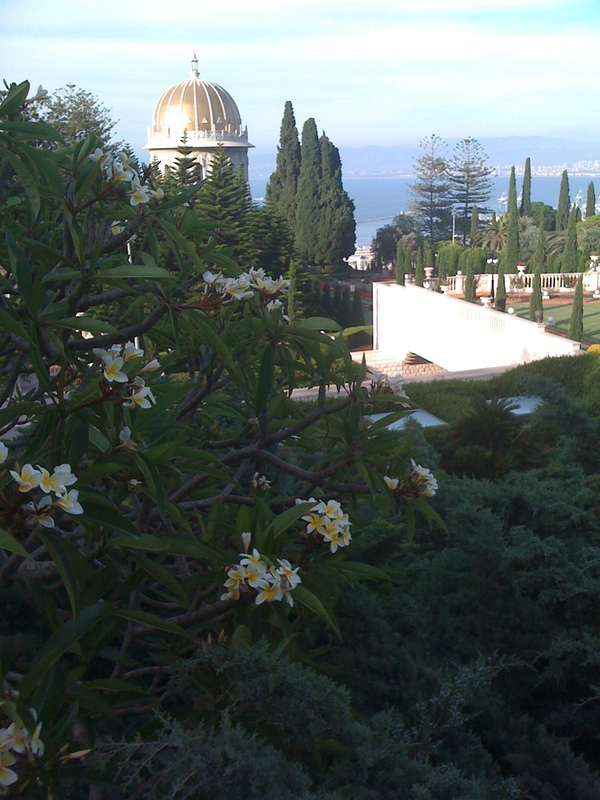 Standing on a path next to the Shrine of the Báb looking out to sea. 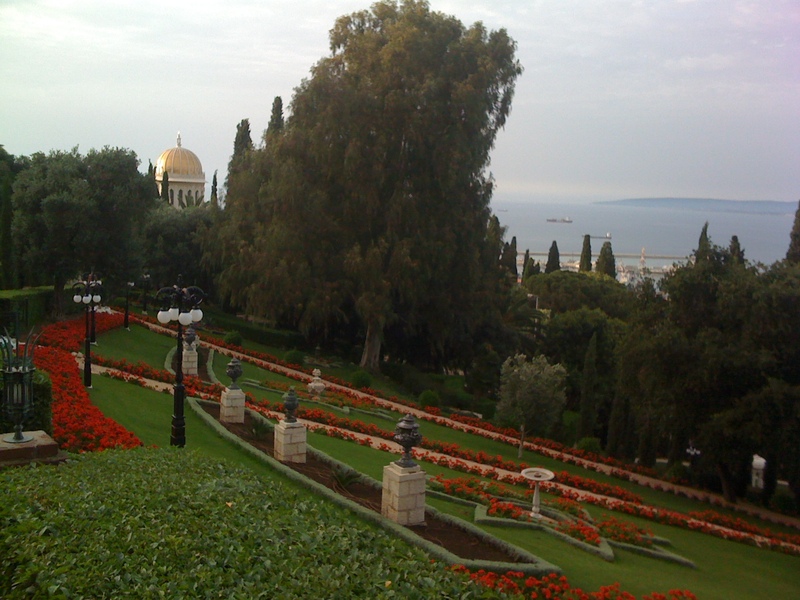 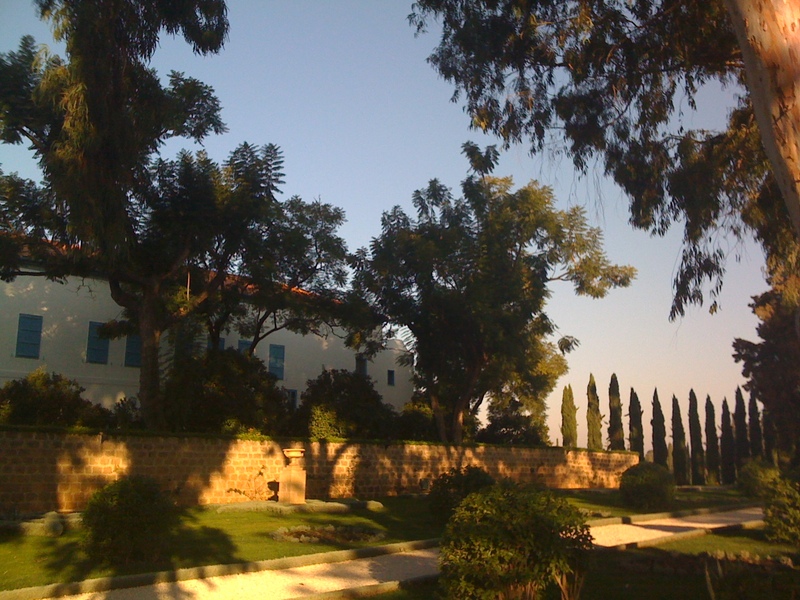 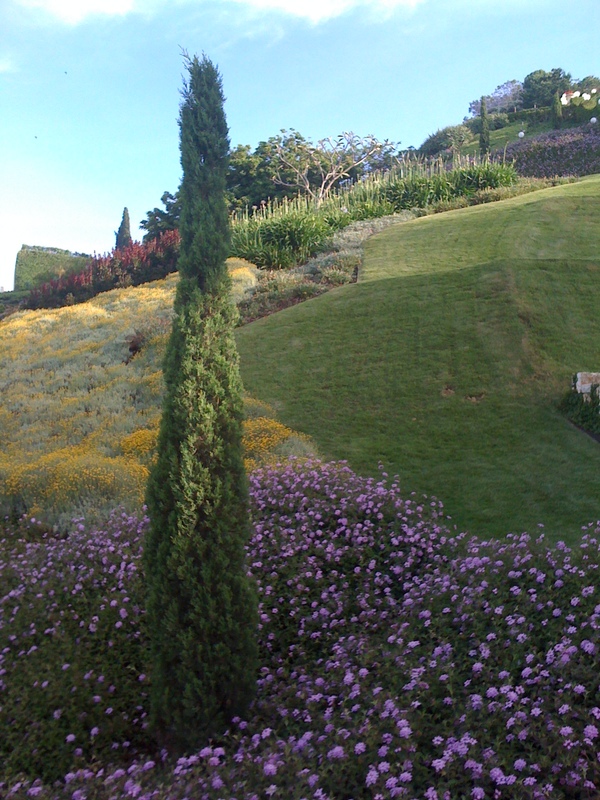 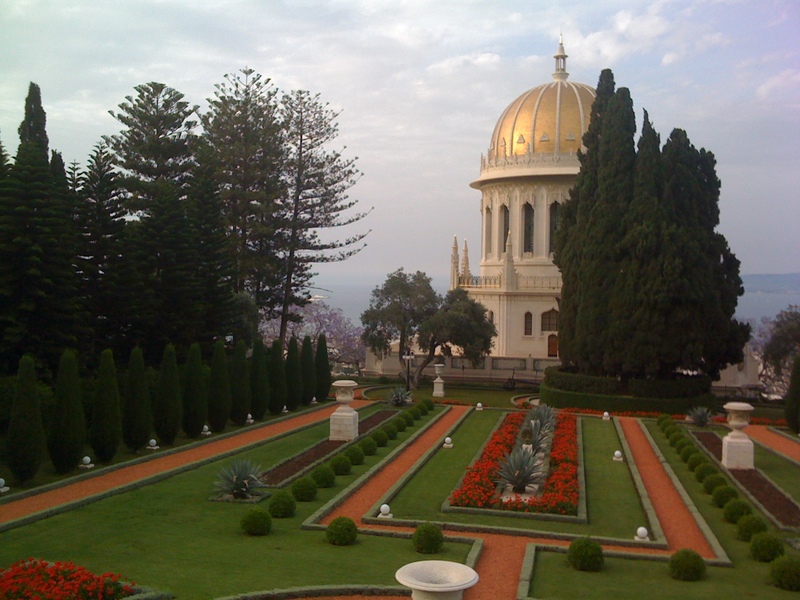 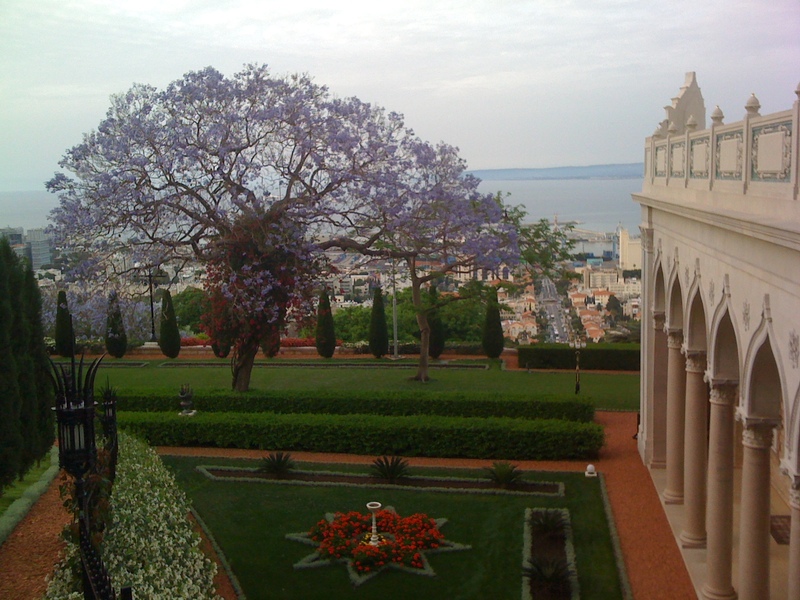 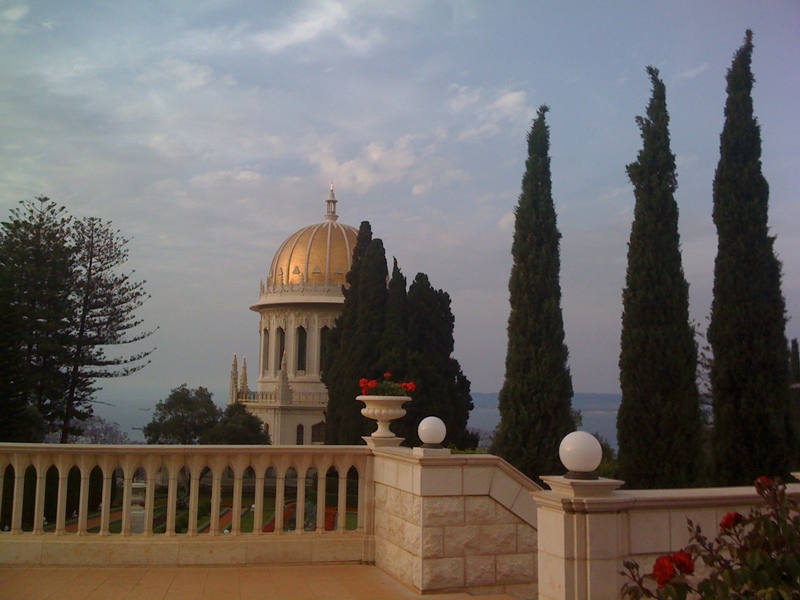 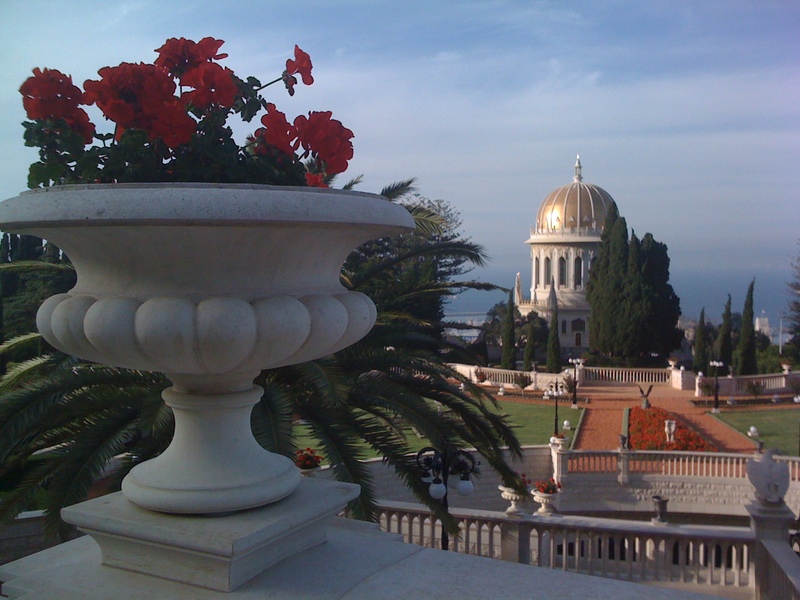 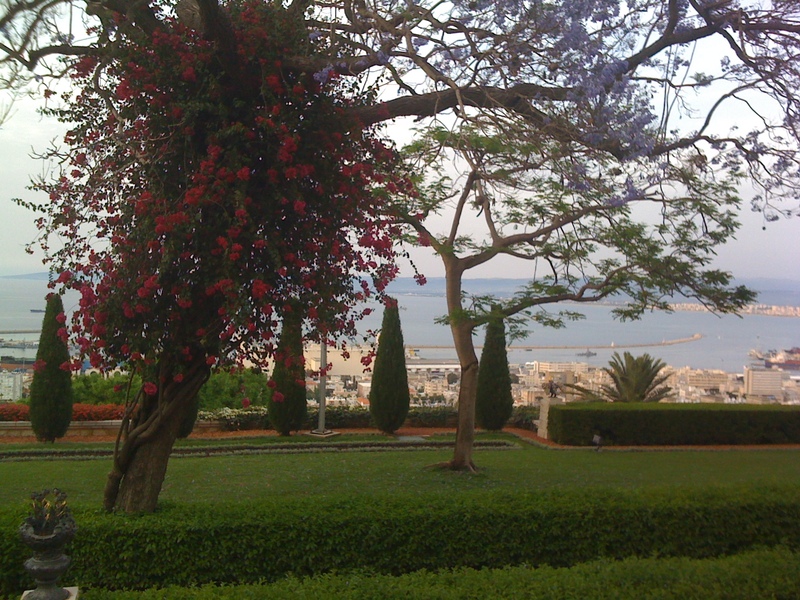 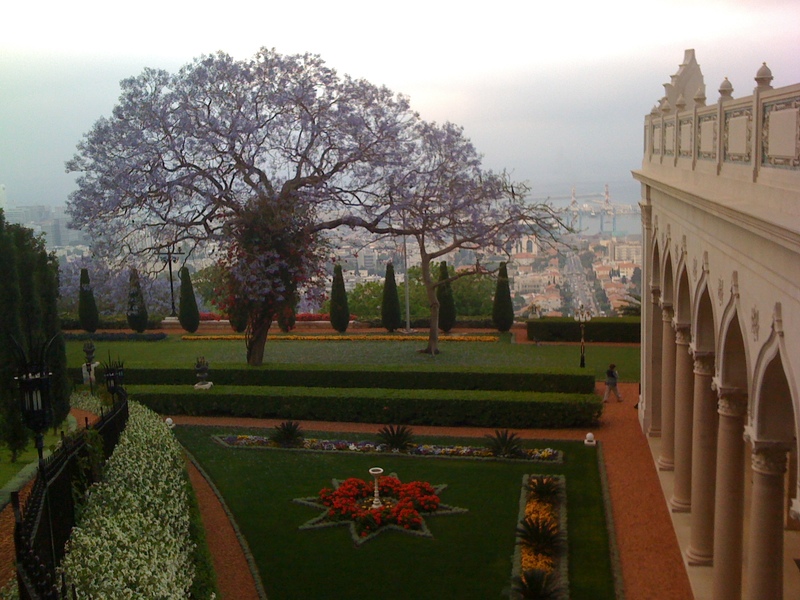 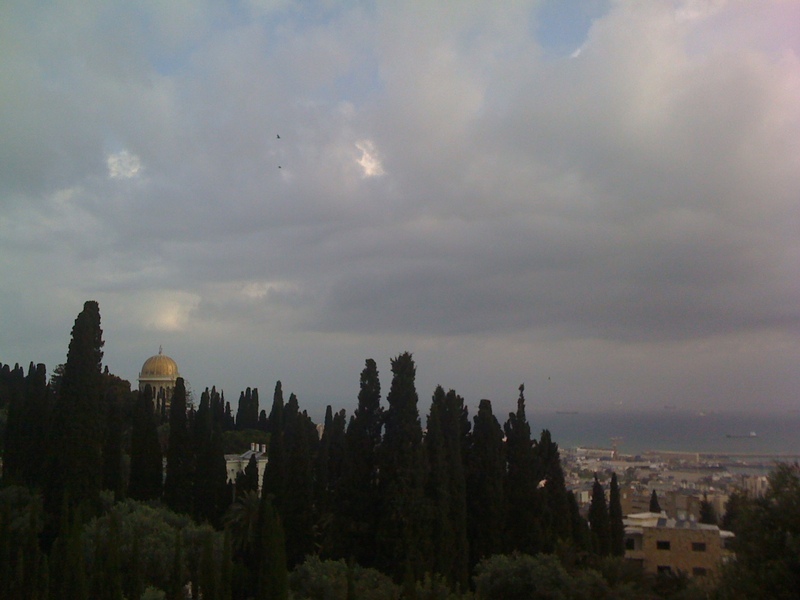 View from the garden around the Shrine of the Báb looking out to sea. 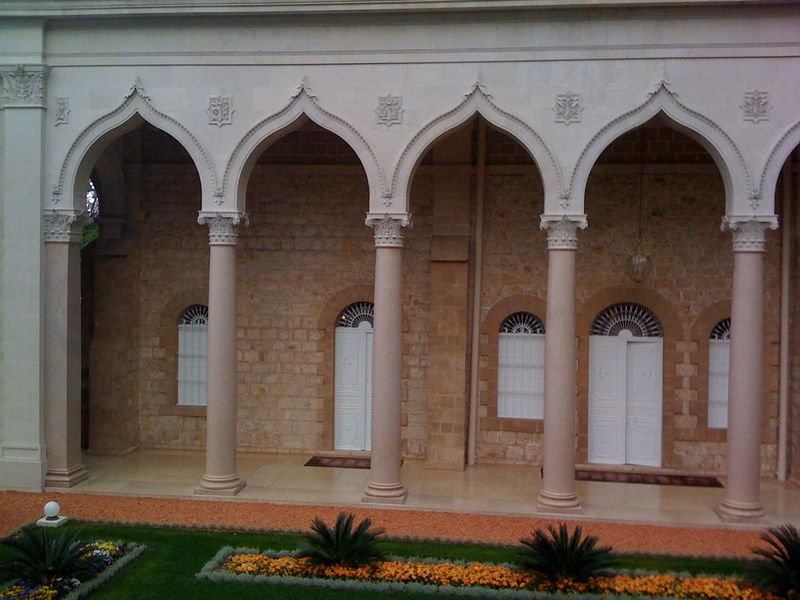 This view shows part of the west side arcade of the Shrine of the Báb. 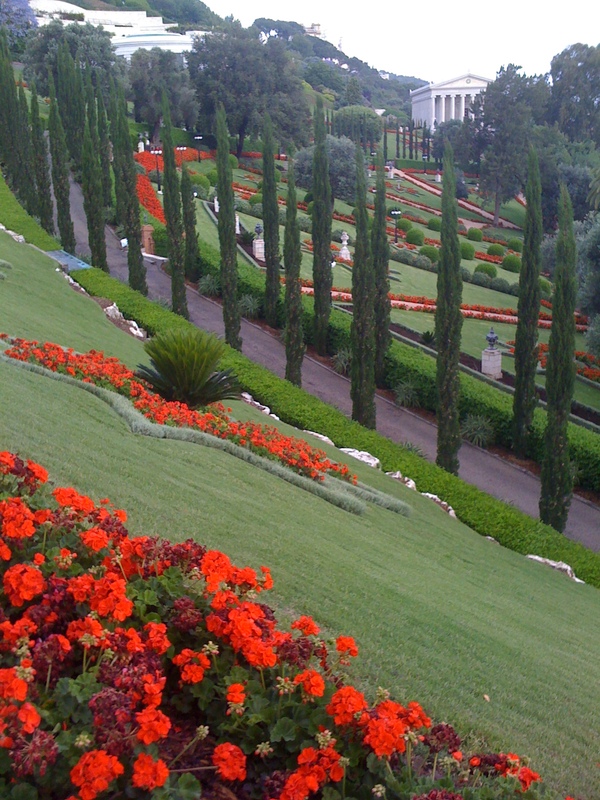 Looking down into the garden from behind the Shrine of the Báb with Ben Gurion Avenue stretching out below to the Port of Haifa on the Mediterranean Sea. 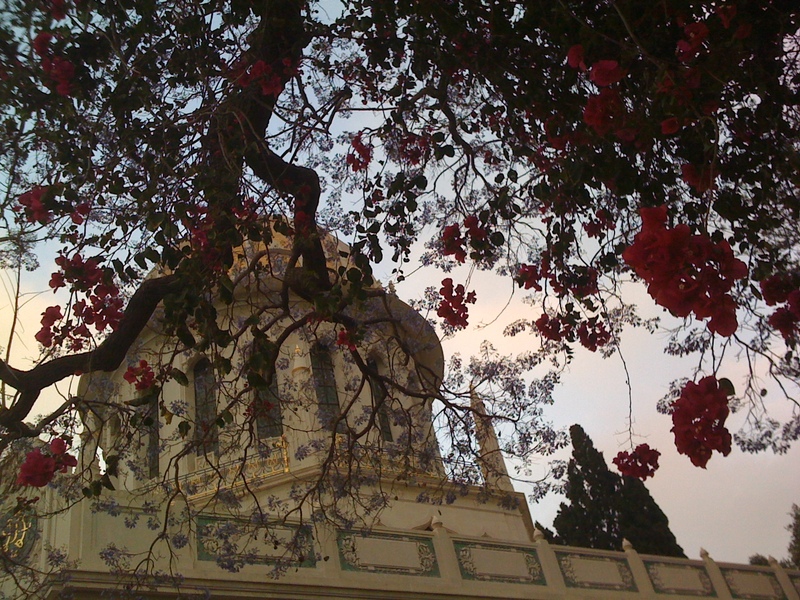 Taken at the Shrine of the Báb just before 7 pm. 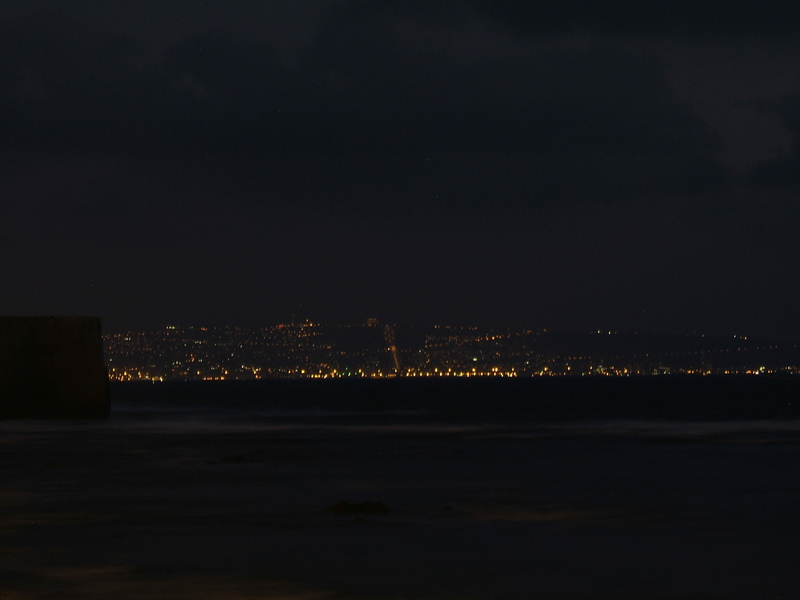 The sun had gone down behind Mt. 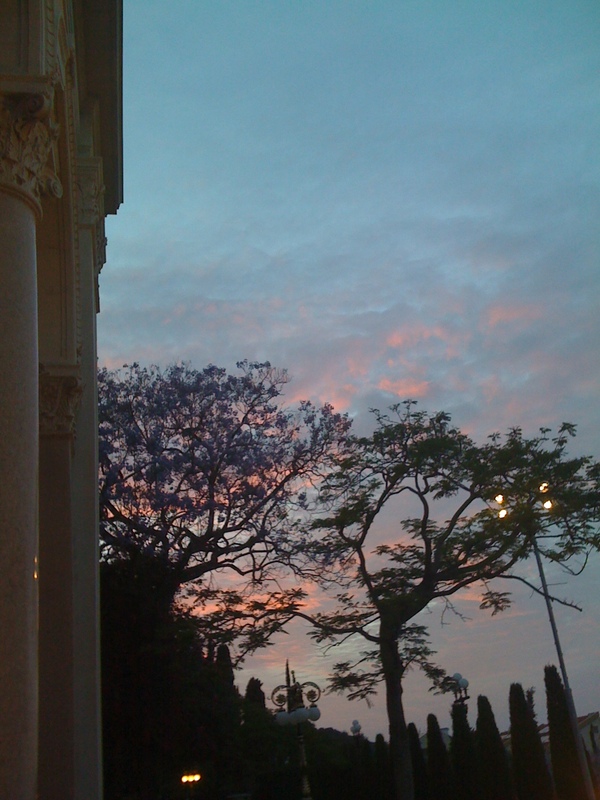 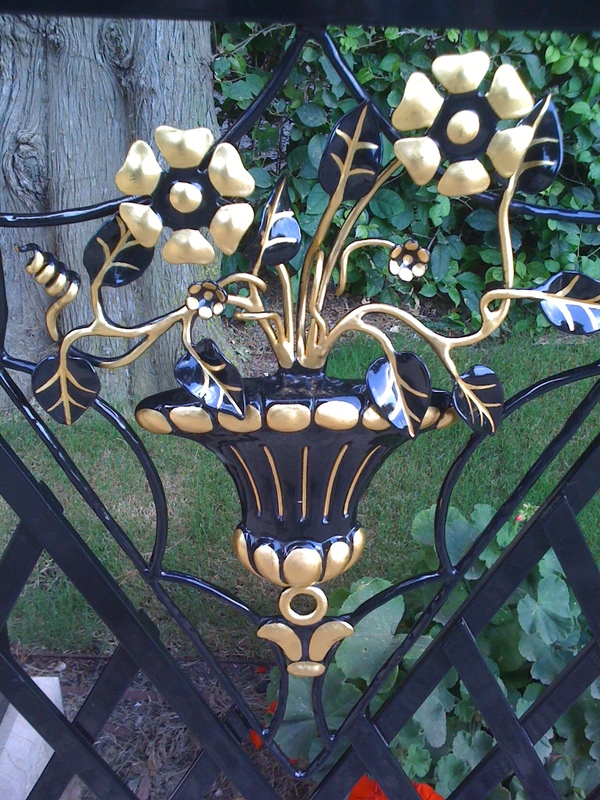 Carmel, but a pink glow was still moving across the clouds, and light reflected off of the gold roof tiles and gilded wrought iron railings. 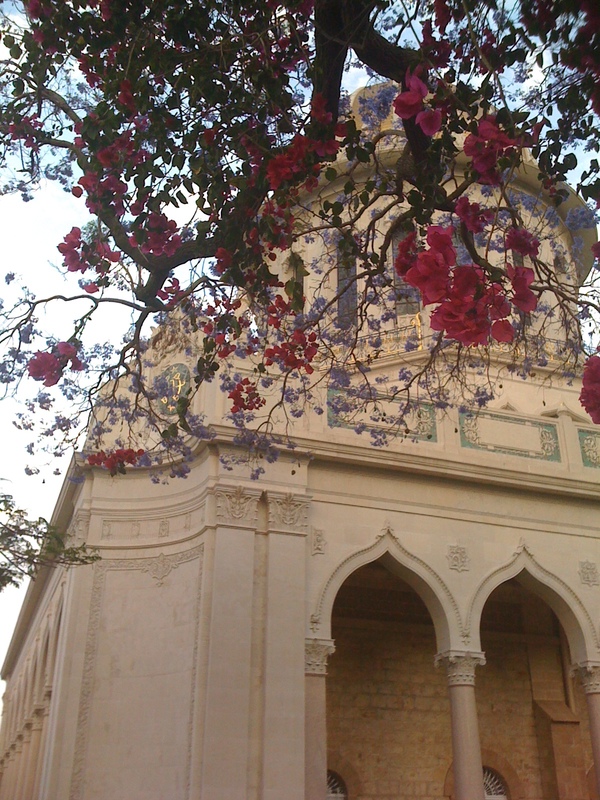 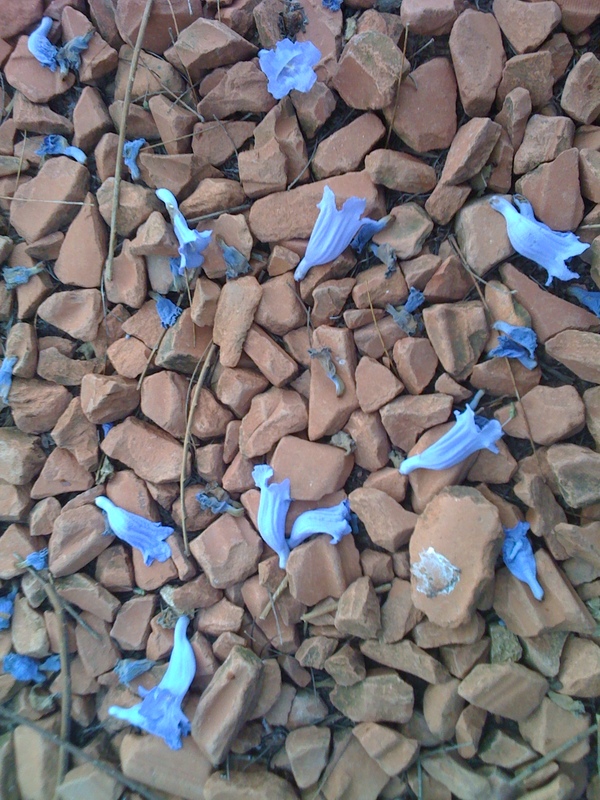 This view is of the Shrine seen through the branches of a jacaranda tree entwined with bougainvillea.